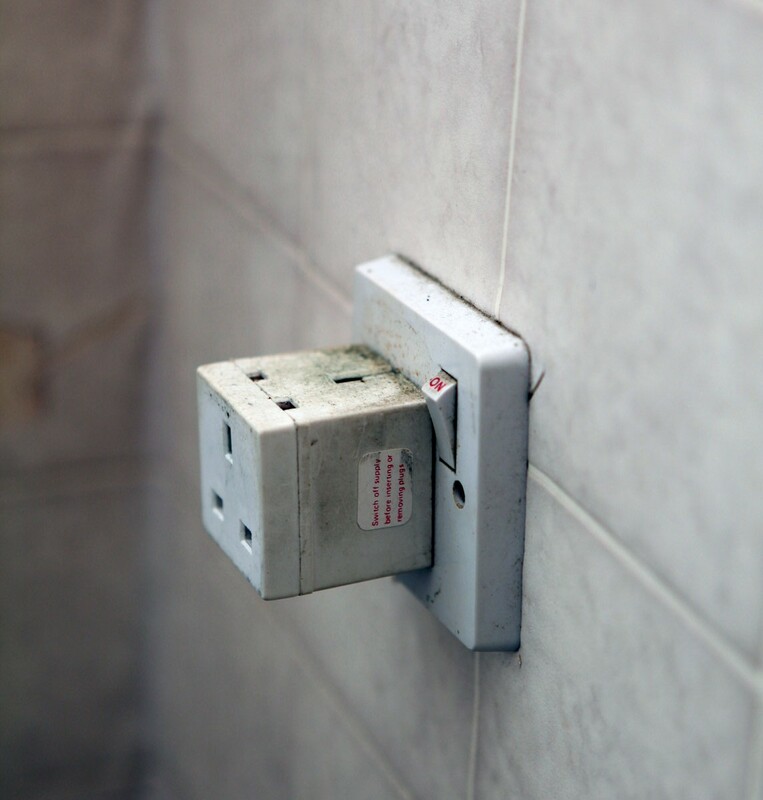 Due to the popularity of our Japanese produced collaborative projects we decided to go one step further and develope our own product sourced and manufactured in Japan. 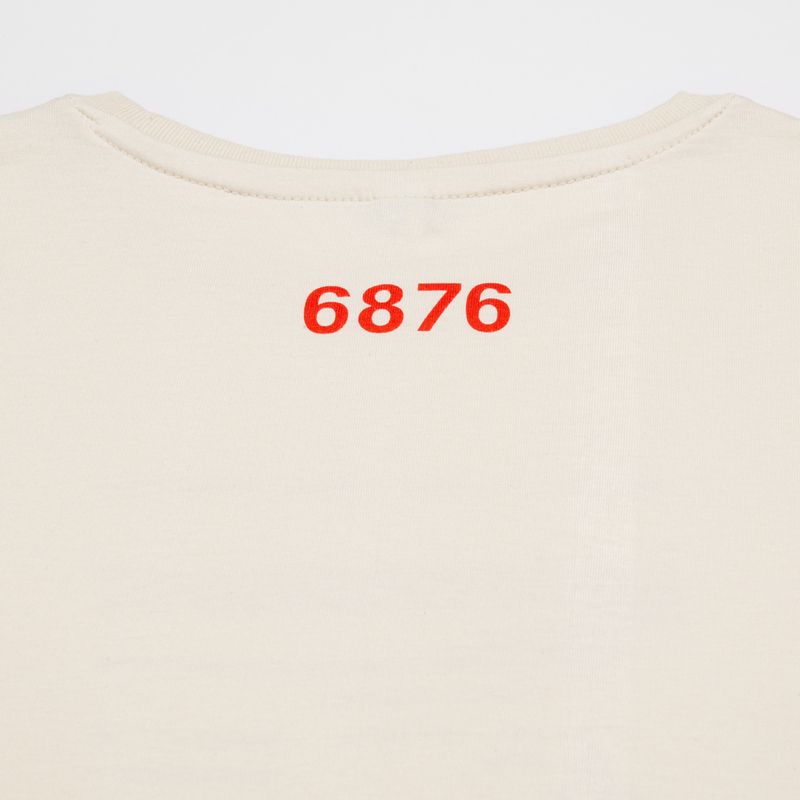 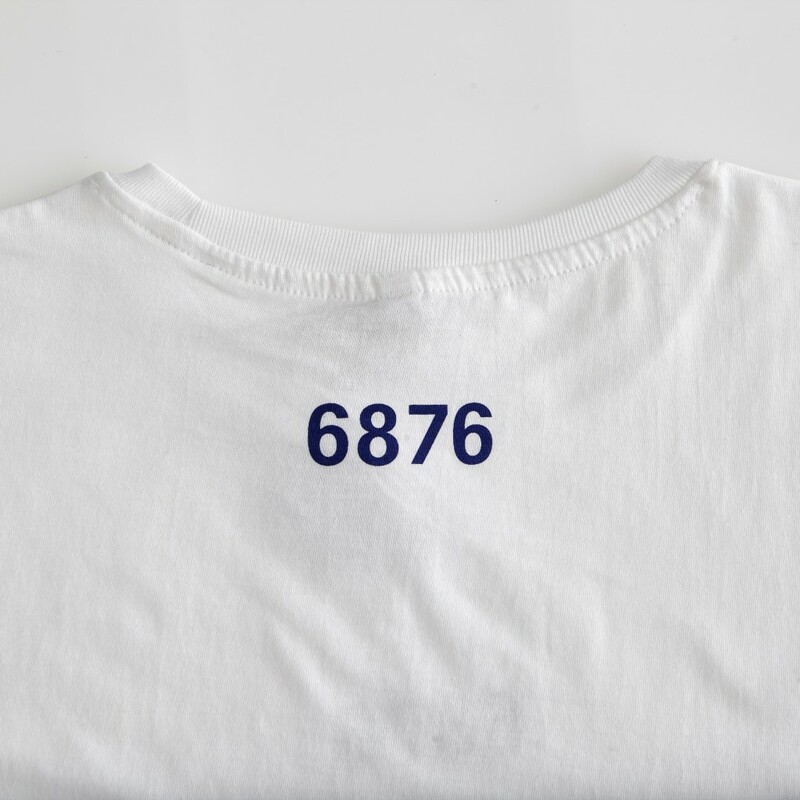 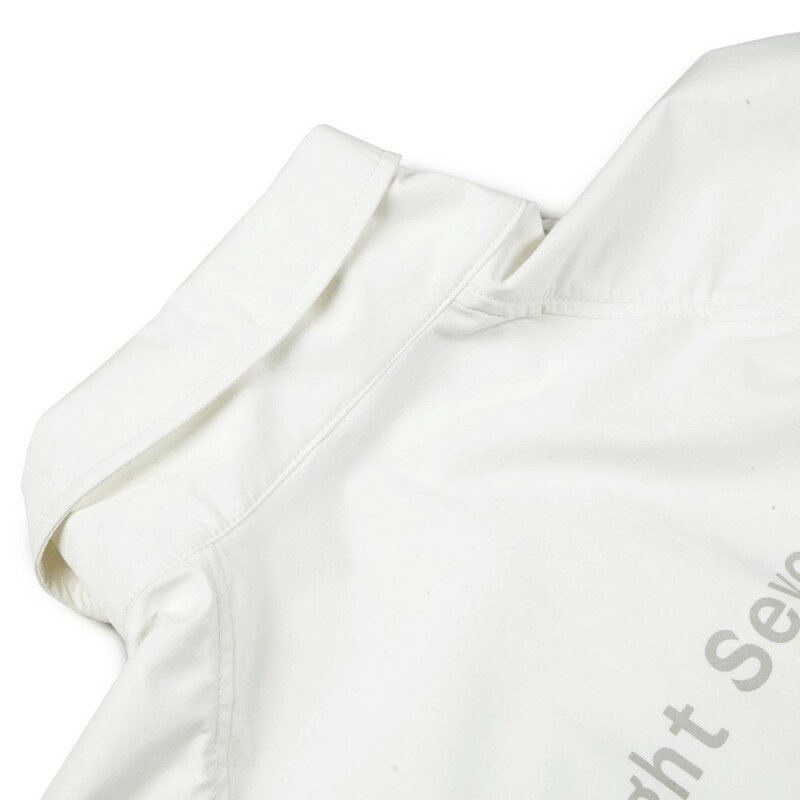 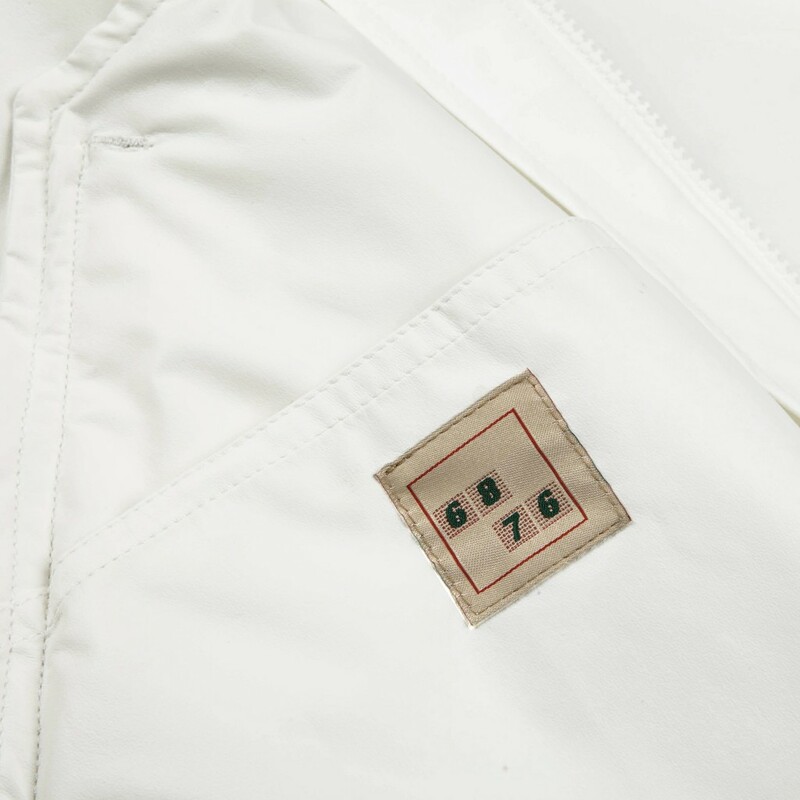 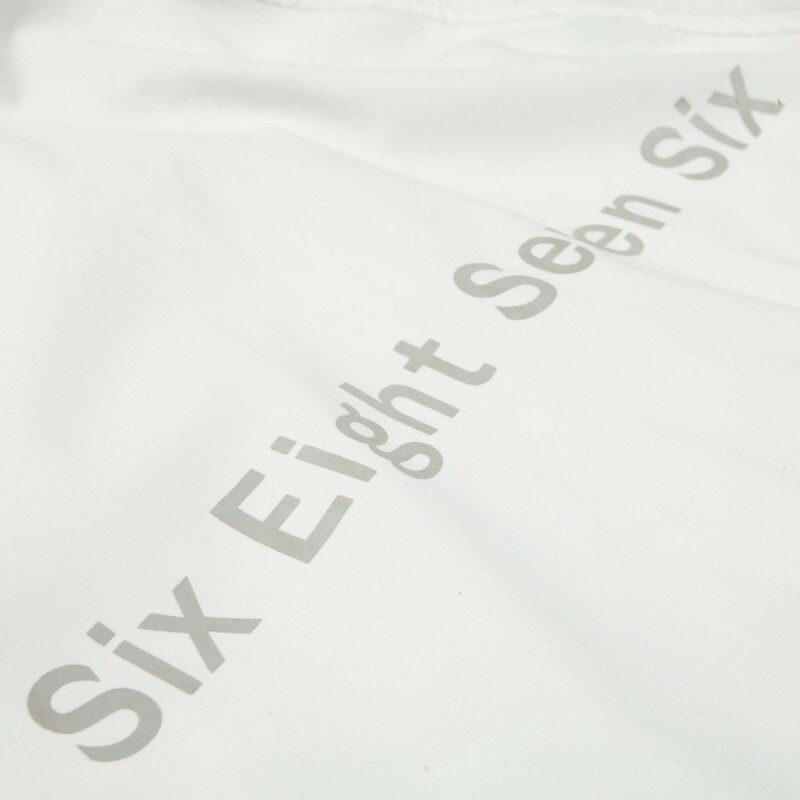 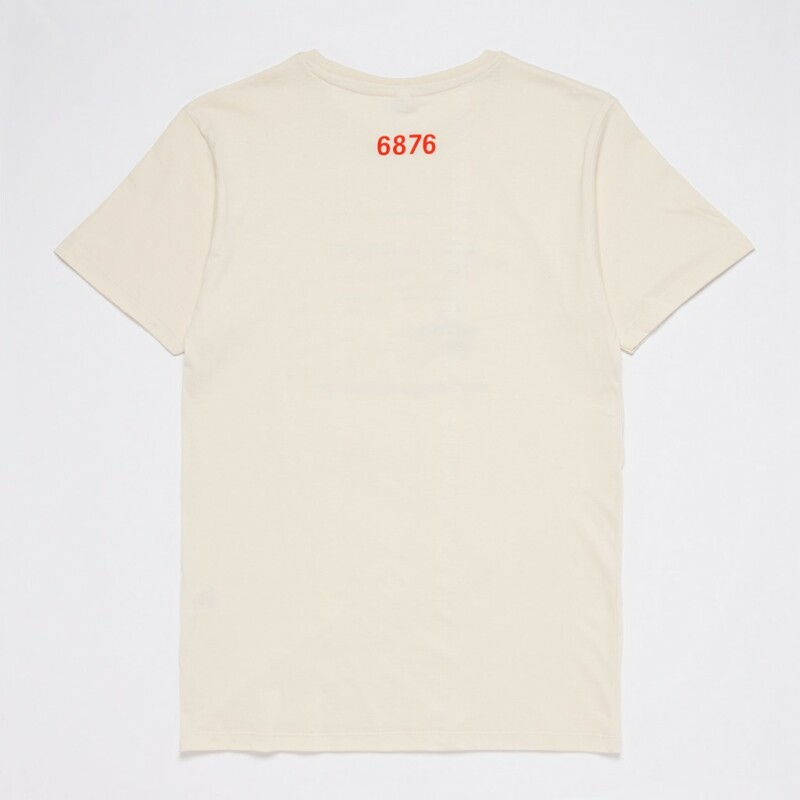 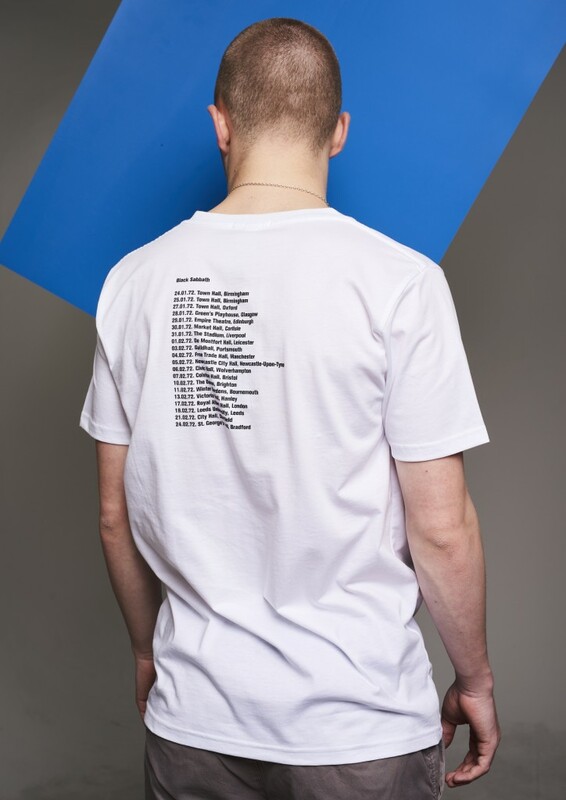 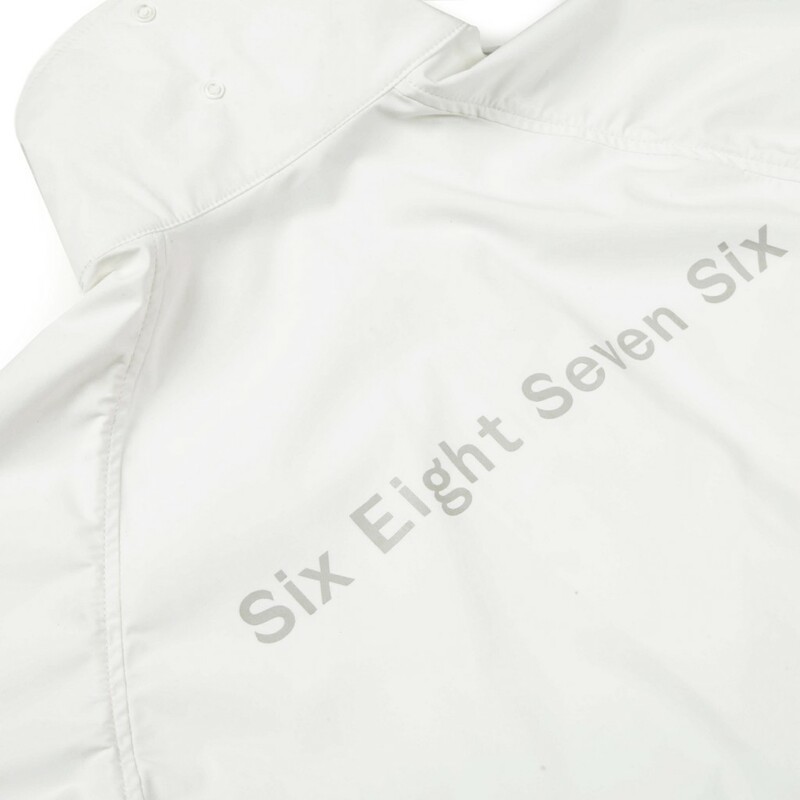 Working with premium suppliers and longstanding 6876 contacts the 68 JP 1 shirt is the first garment in a series that the brand will be releasing over the coming seasons. 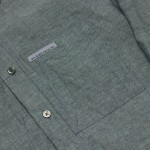 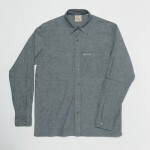 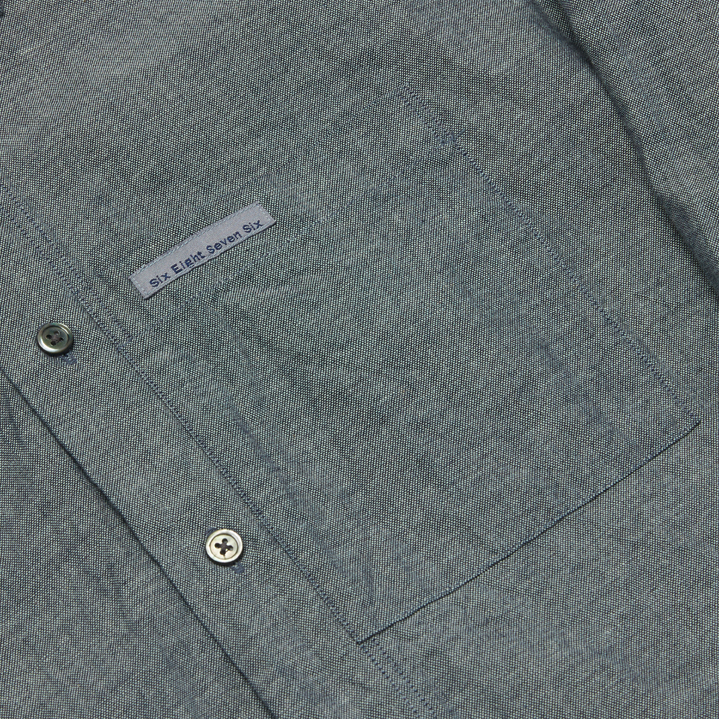 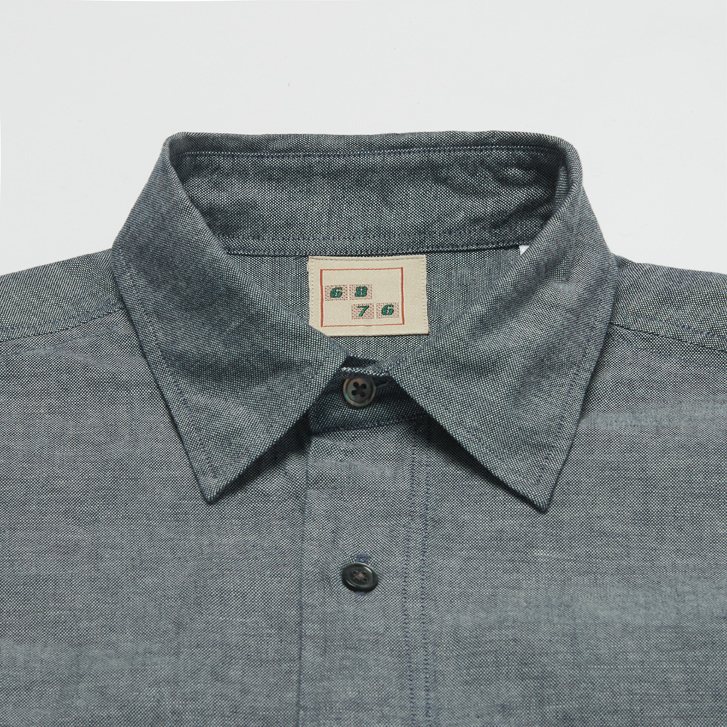 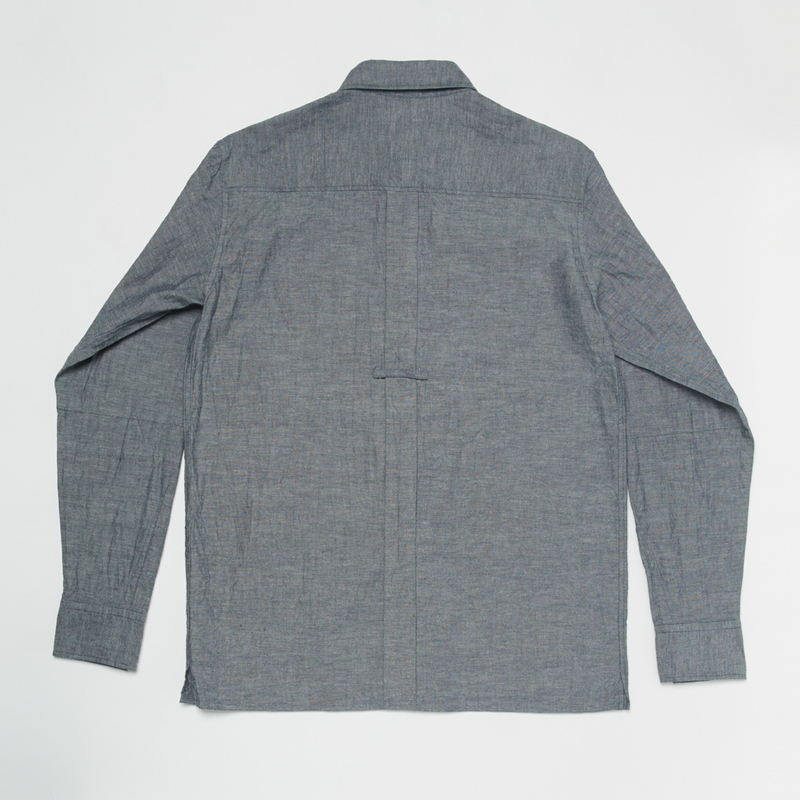 Fabric:100% heavy cotton chambray and mother of pearl buttons. Cuff: Accentuated cuff tab and sewn down darts. 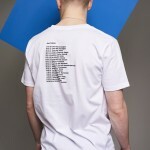 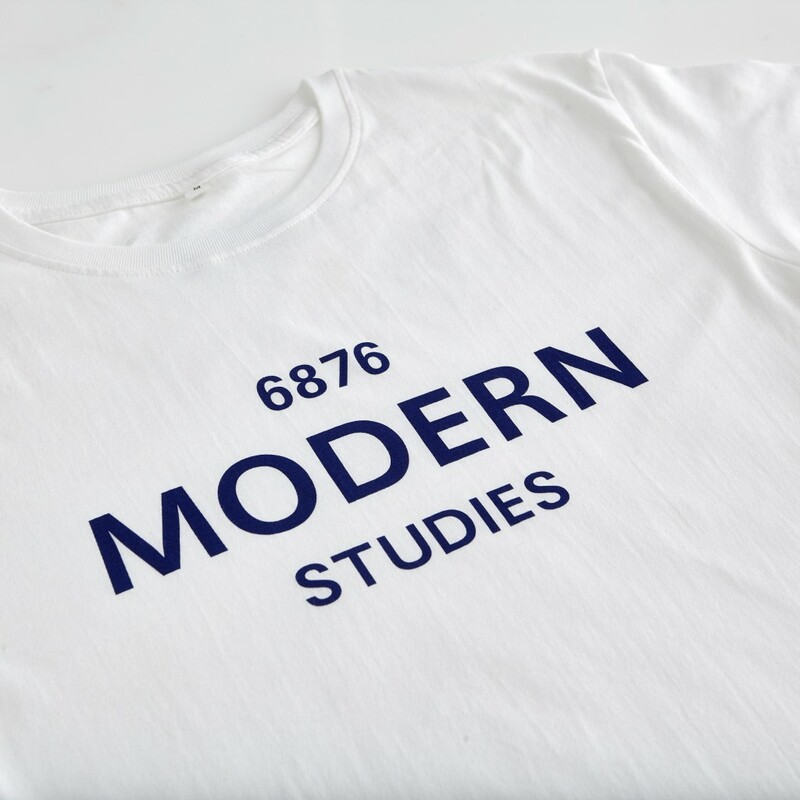 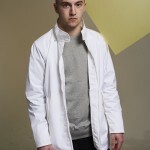 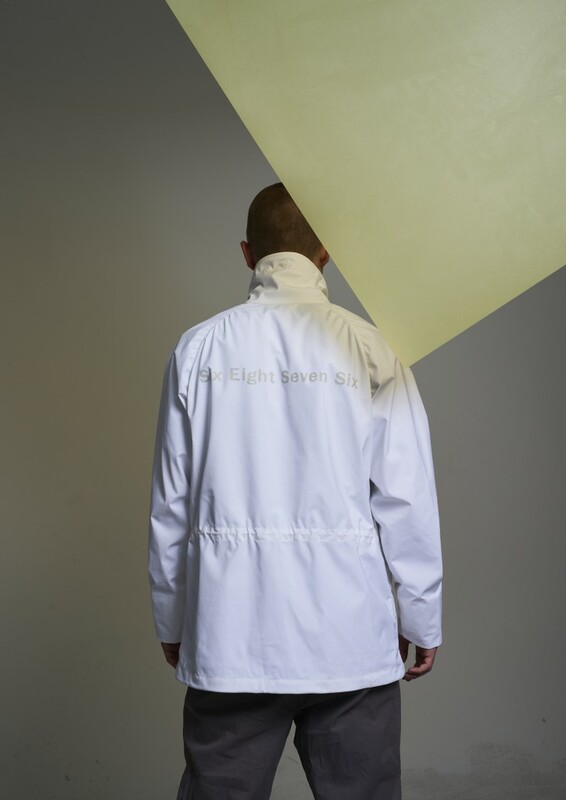 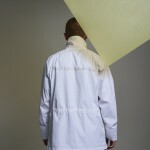 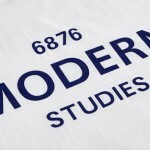 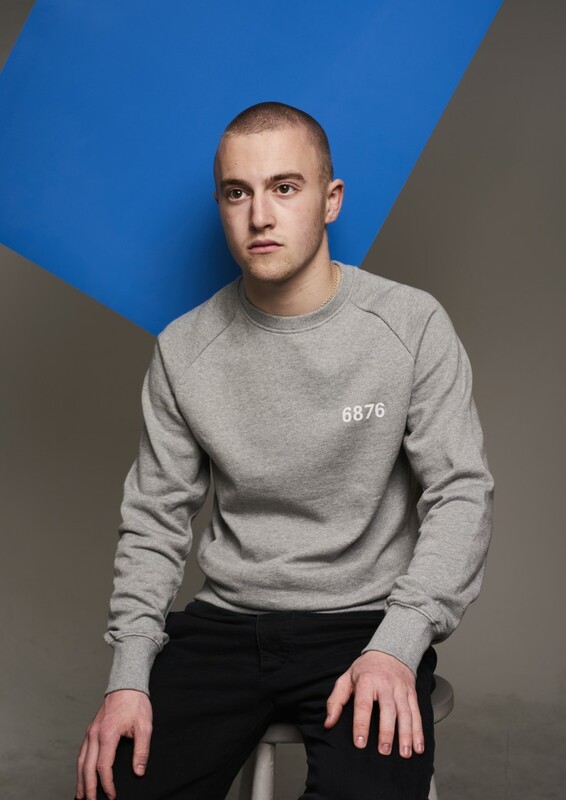 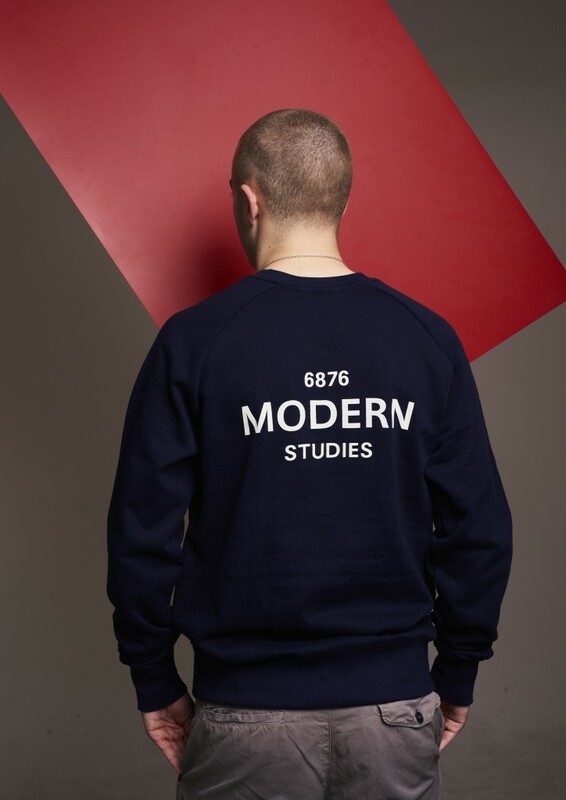 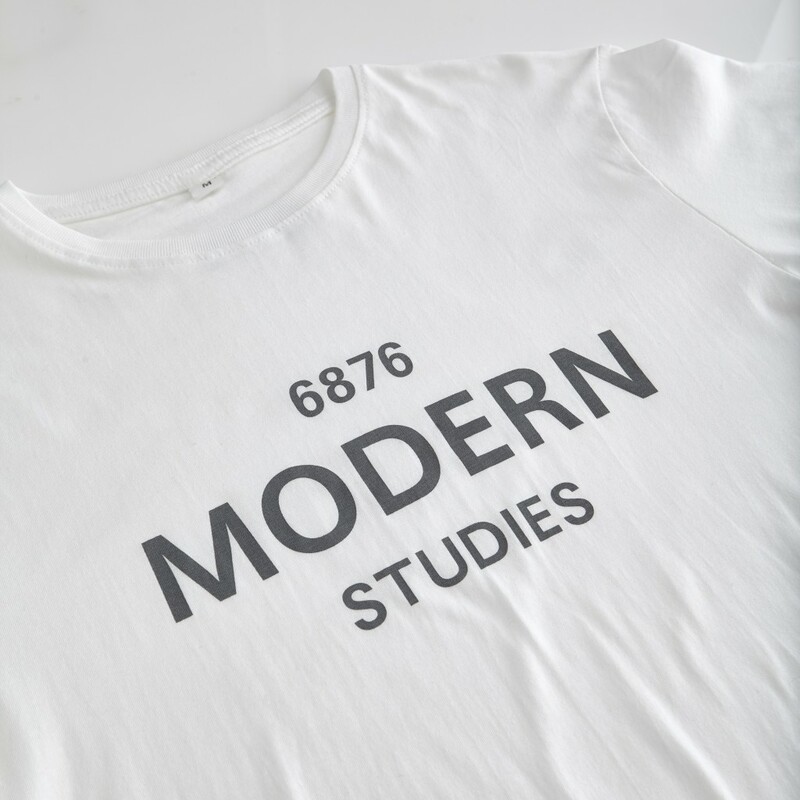 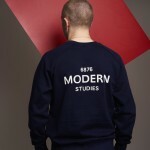 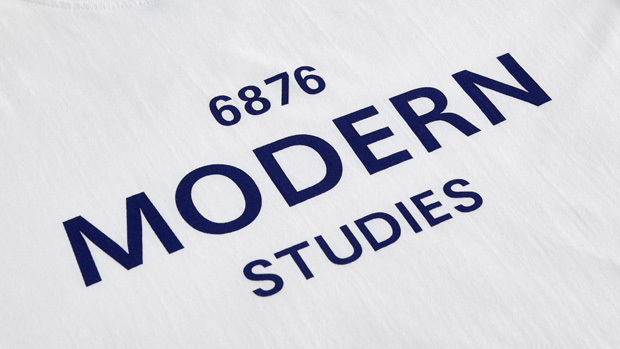 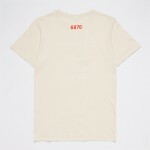 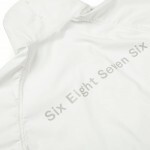 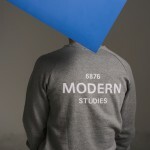 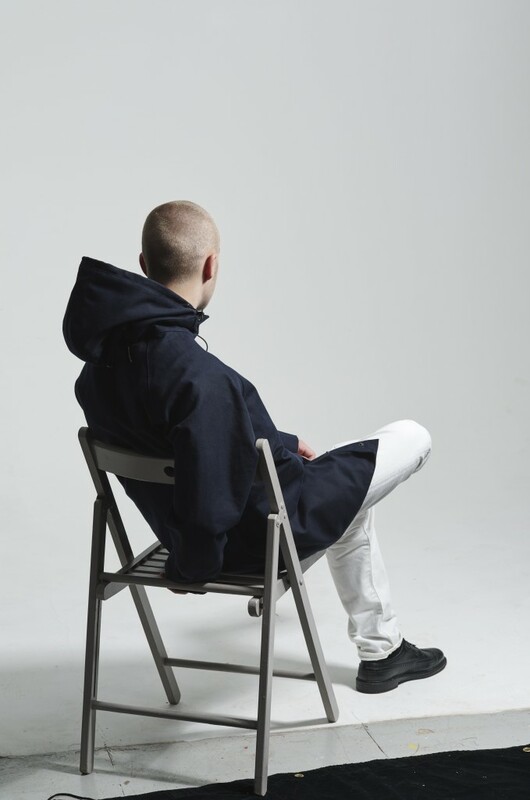 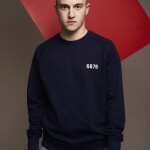 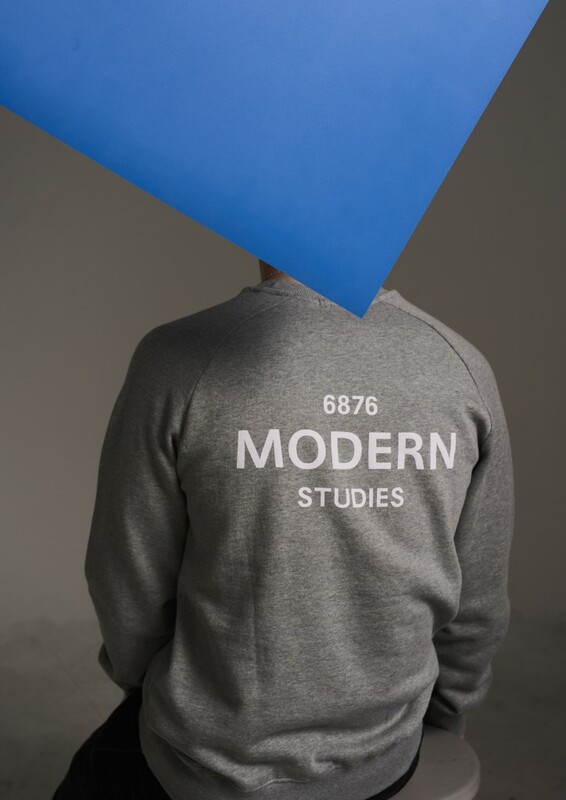 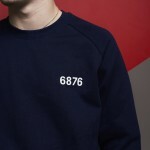 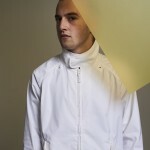 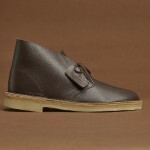 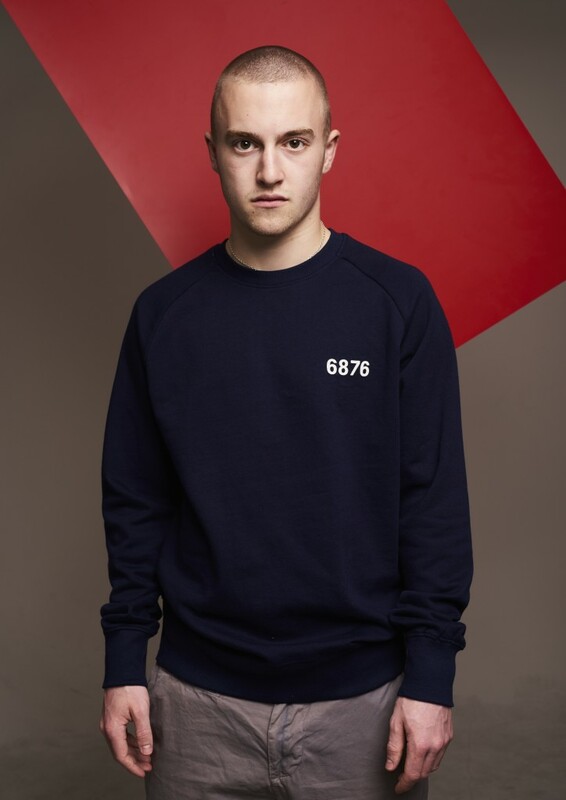 First collection of Modern Studies the new project from Six Eight Seven Six. 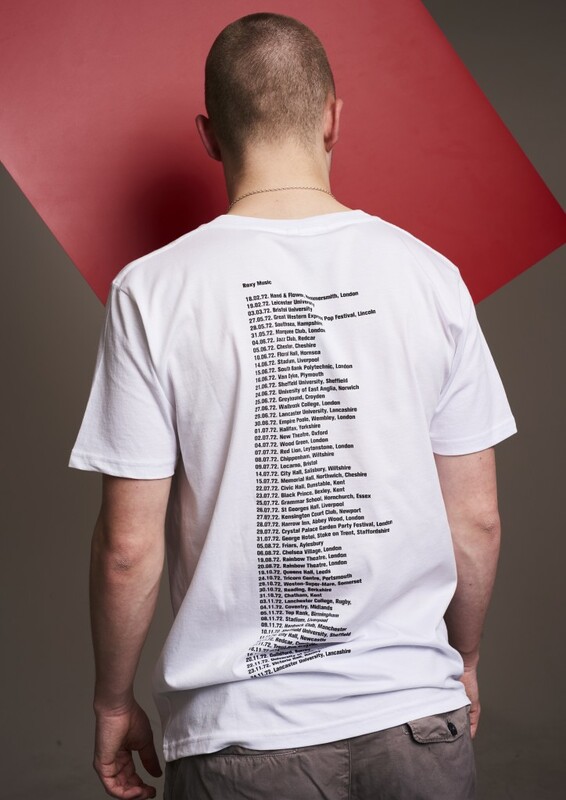 This initial collection will subsequently increase in size for following seasons but the guest Artist which this season is Scott King will remain a constant. 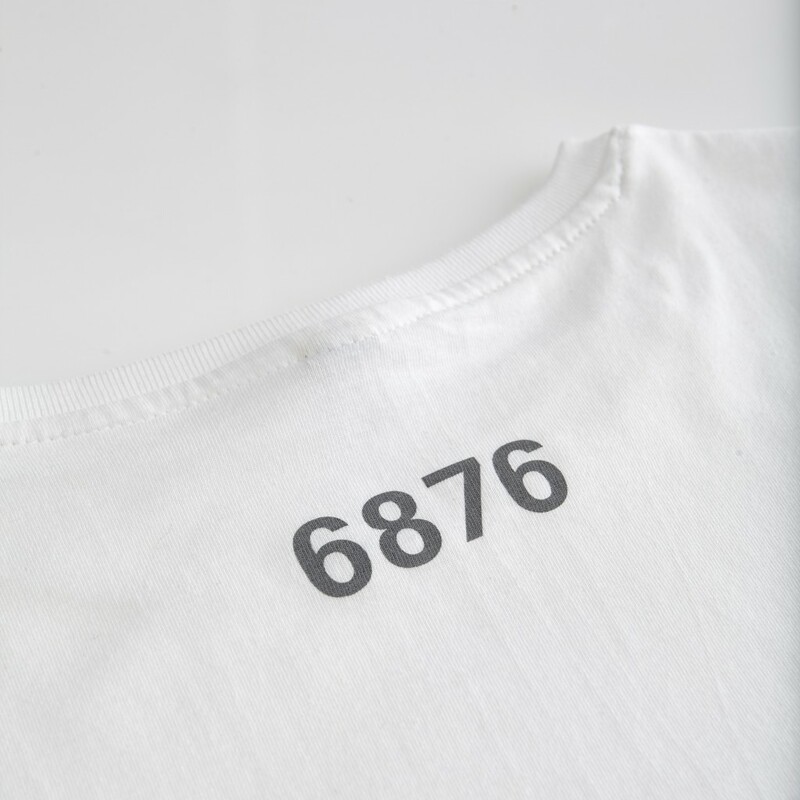 The collection will be available at stores world wide but there will also be 6876 web exclusives only on available on our store. 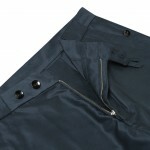 “Storm” type pockets and cuffs. 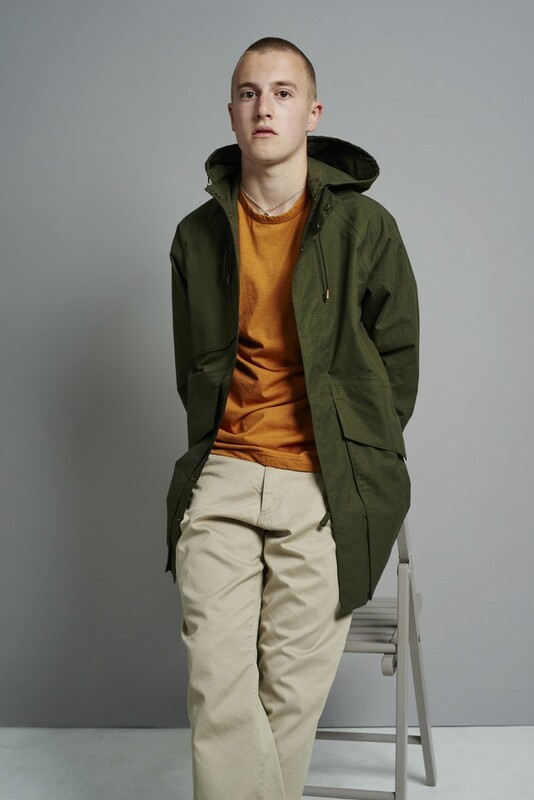 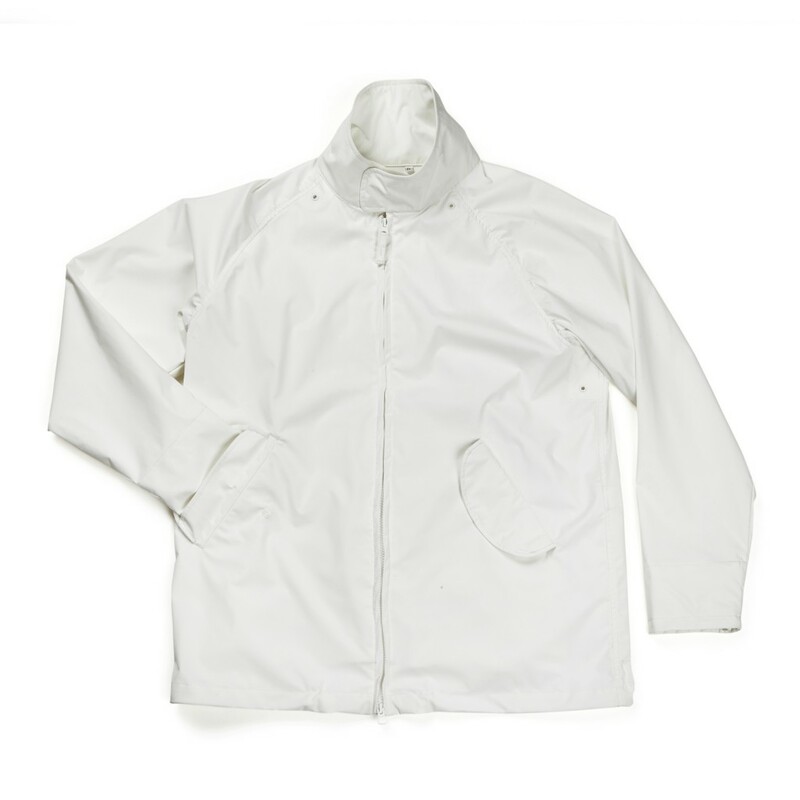 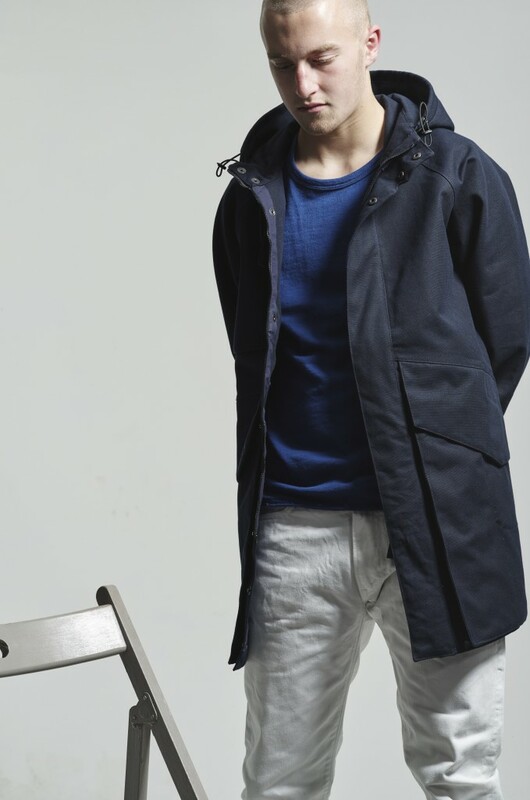 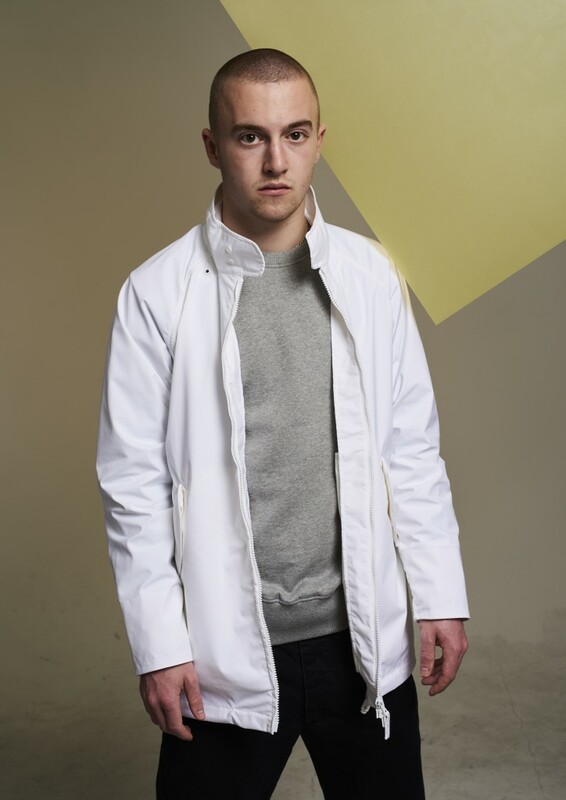 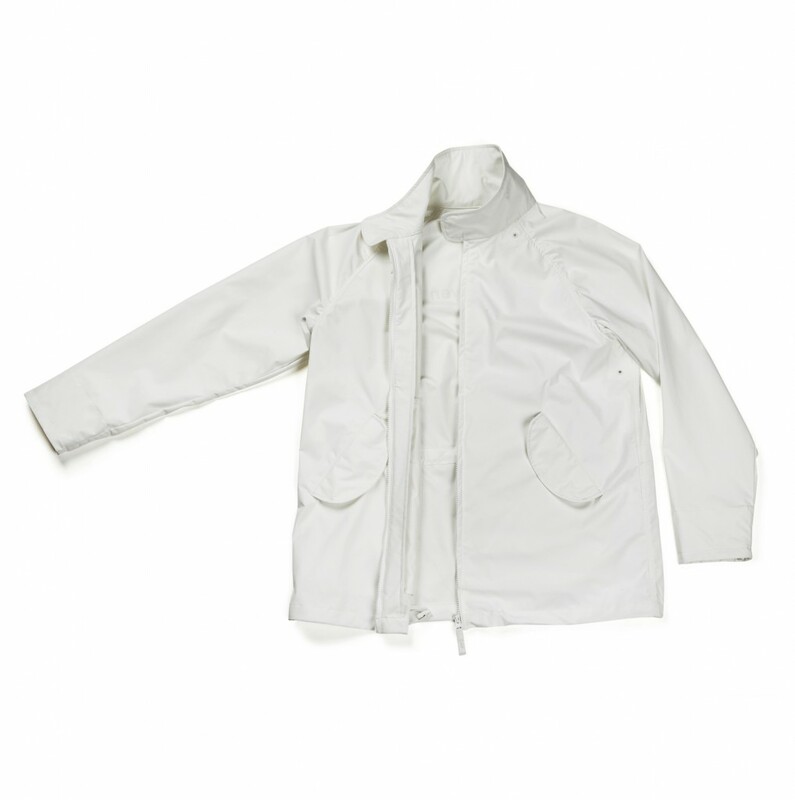 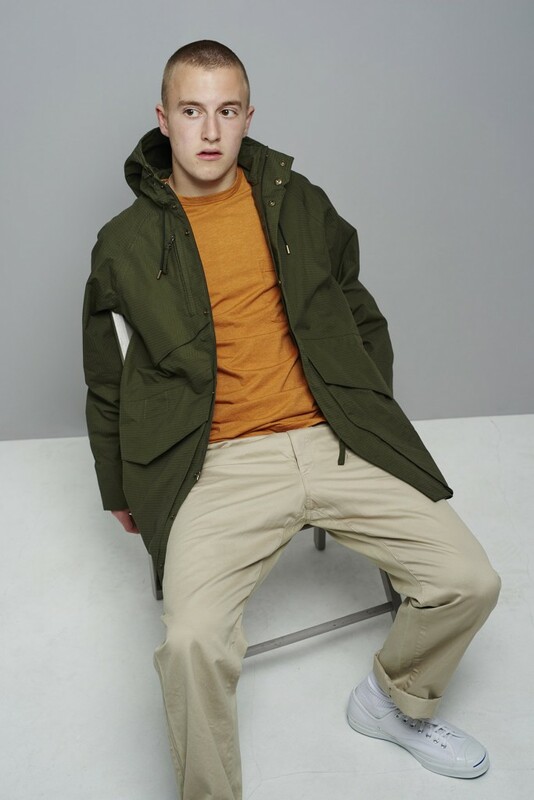 The jacket features large distinctive half bellows front lower pockets (left has a small inside pocket) and curved half bellows chest pocket. 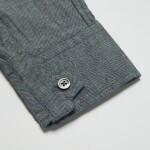 Gunmetal studs,custom made shock cord adjusters and ends. 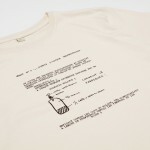 Cleaning instructions: Hand wash to ensure long standing weather protection and natural ageing. 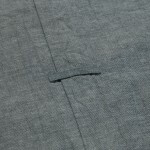 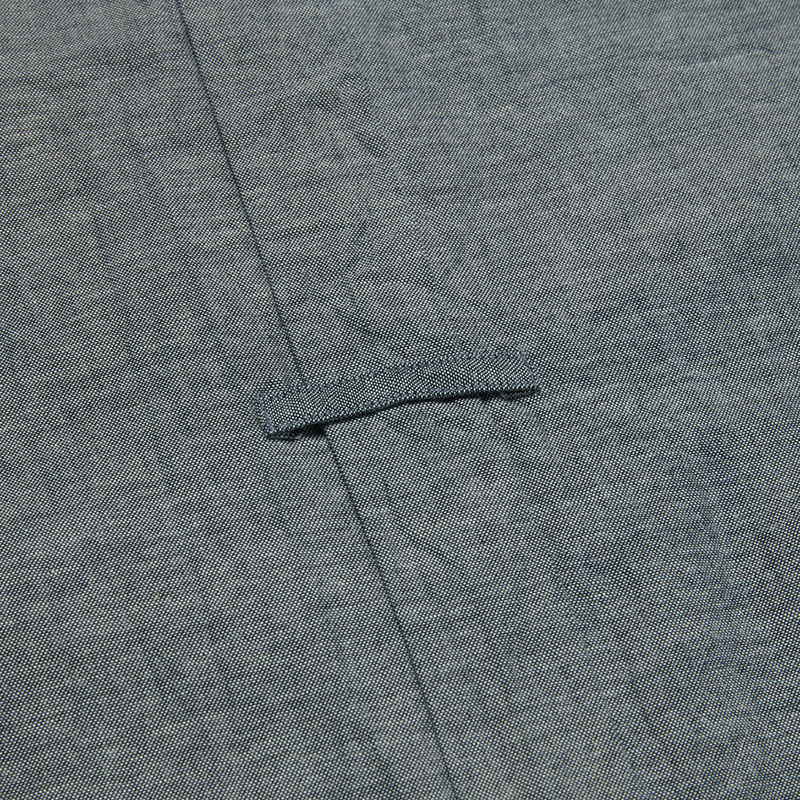 Dry cleaning is not advisable with relation to our custom made seam tape. 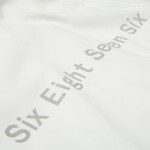 ITK Brotherhood Riga/Latvia, Le Fix Copenhagen/Denmark, Flykicks Oslo/Norway and Sweet & Tender Helsingborg/Sweden. 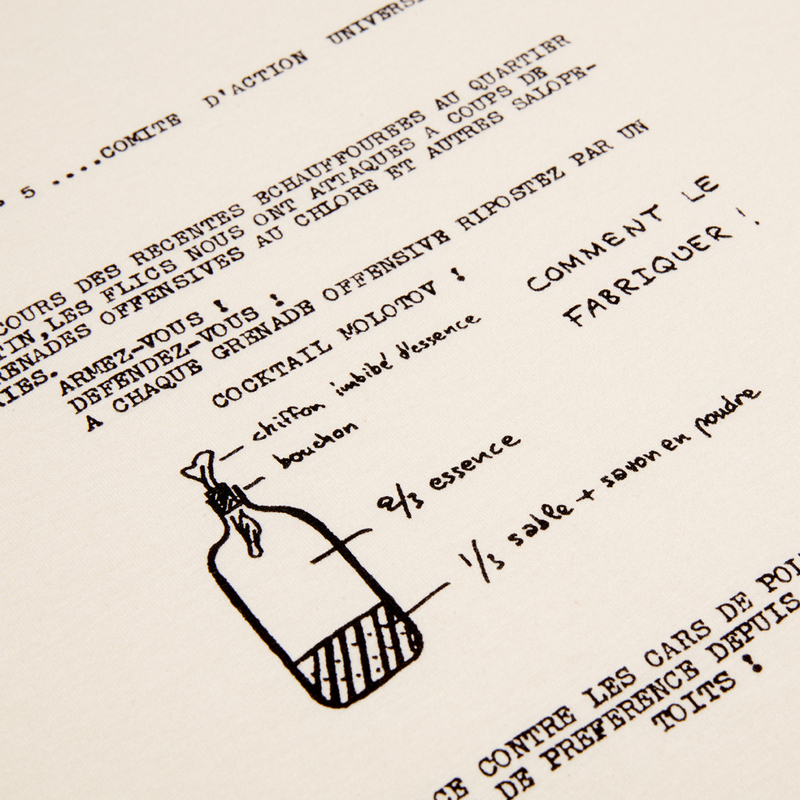 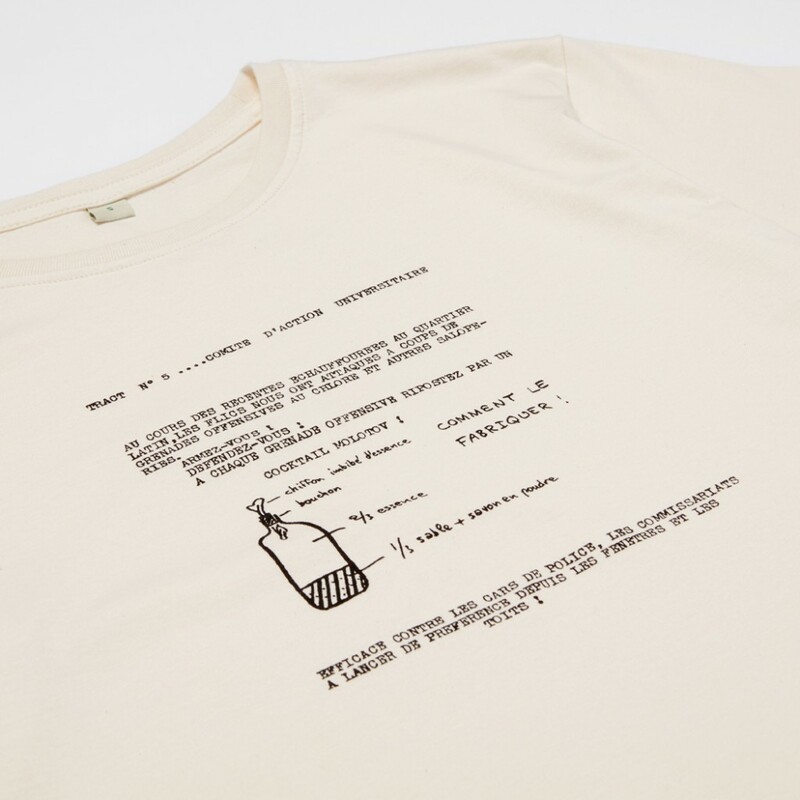 A graphic with its roots and reference in the tumultuous era of late 60’s Paris. The representation of revolt against ruling powers when their methods become autocratic and unyielding as opposed to the current era we live in where too many times the frustrations of our situations turn the populace against each other. Antique brass studs,shock cord adjusters and ends. 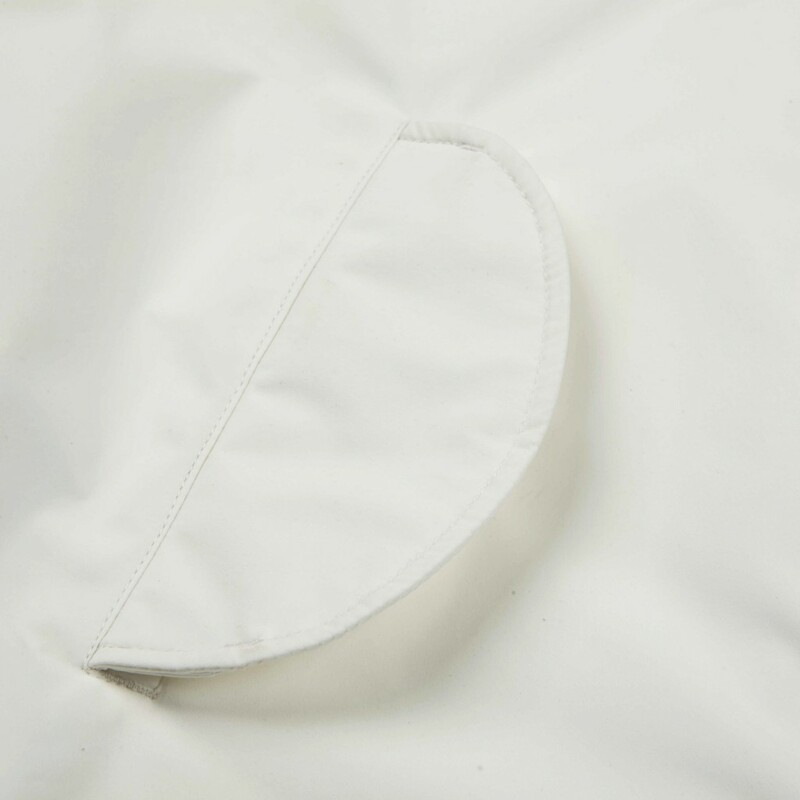 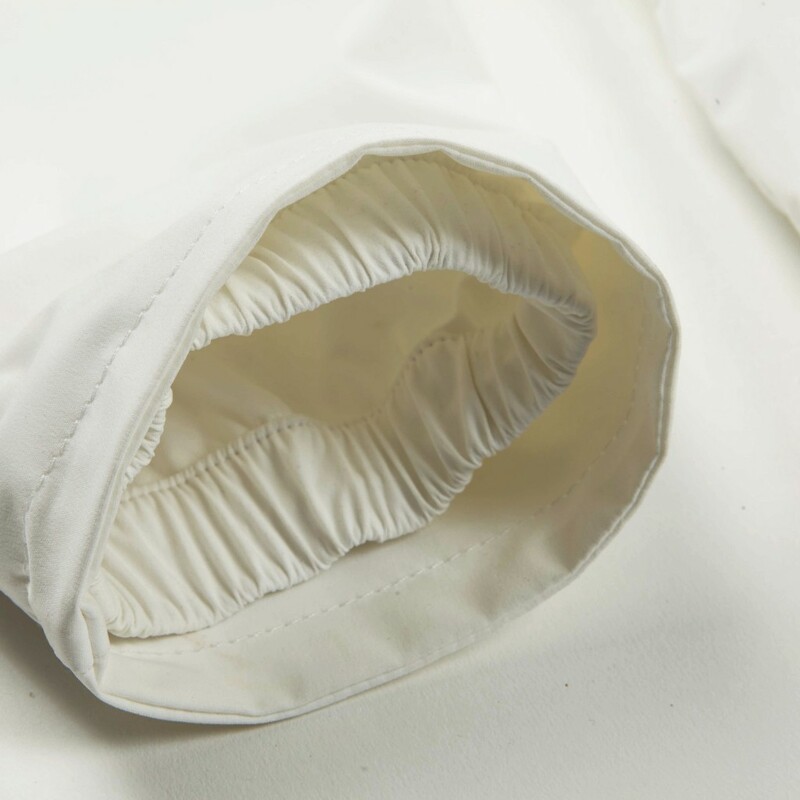 Fabric 100% Cotton manufactured in Portugal. 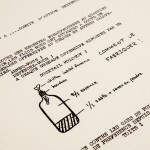 An animation of stills taken from the project Tothland by Donald Milne. 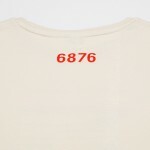 Butterburn Court and Bucklemaker Court at the Top Of The Hilltown Dundee 1971-2013. 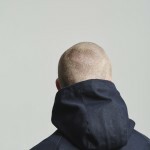 Music: Zen and the art of jollification “schadenfreude” from Sleeping Gypsy. 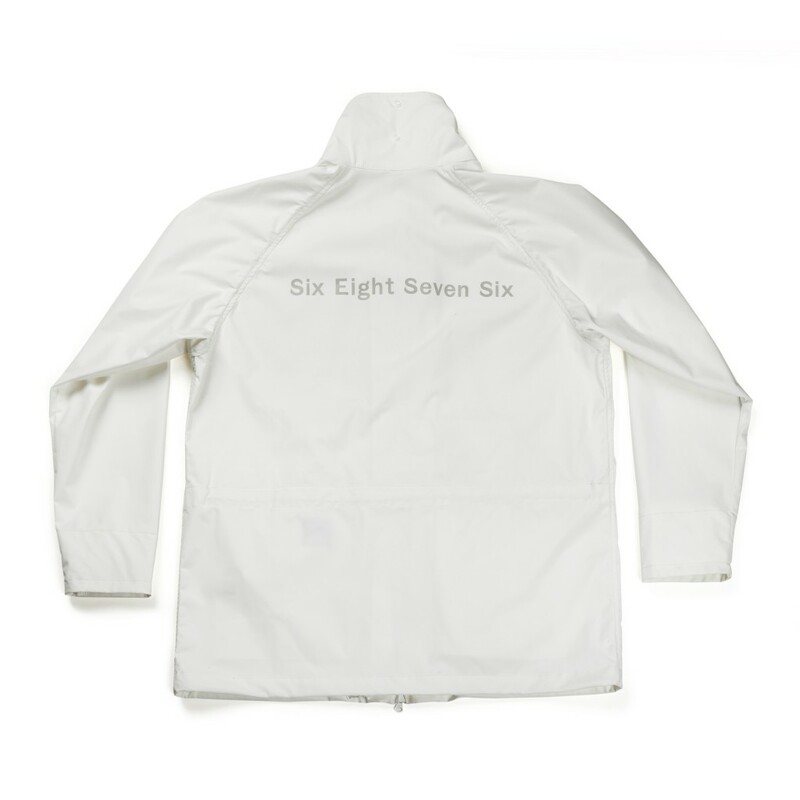 Season three of our collaboration with The Fourness features reinterpretations of two classic items from the Six Eight Seven Six archive. Details: Two horizontal chest pockets with angled flaps and zip openings which are counterbalanced with lower side seam pockets. 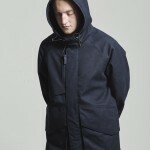 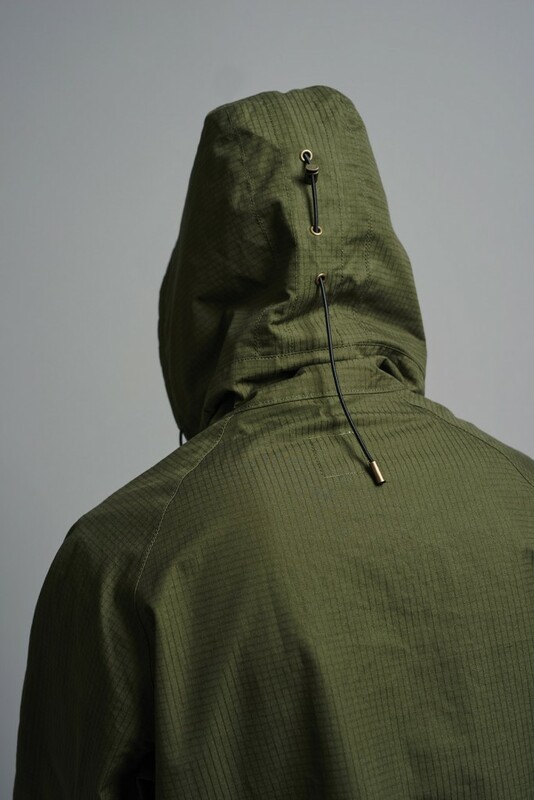 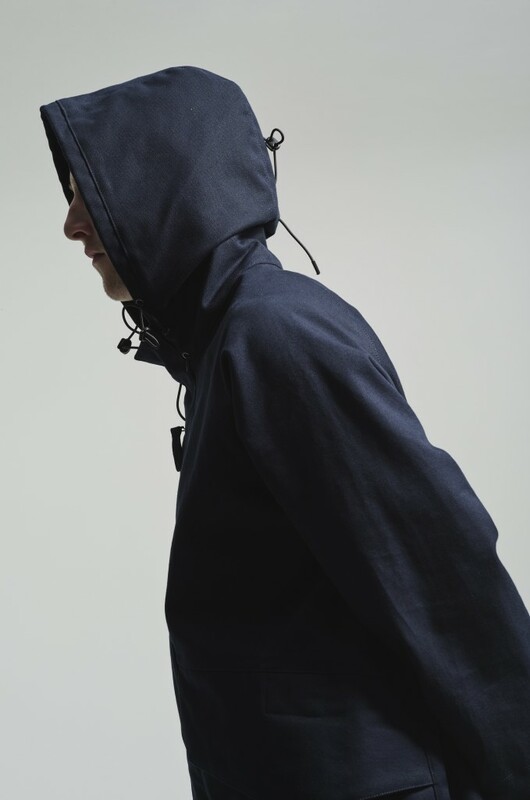 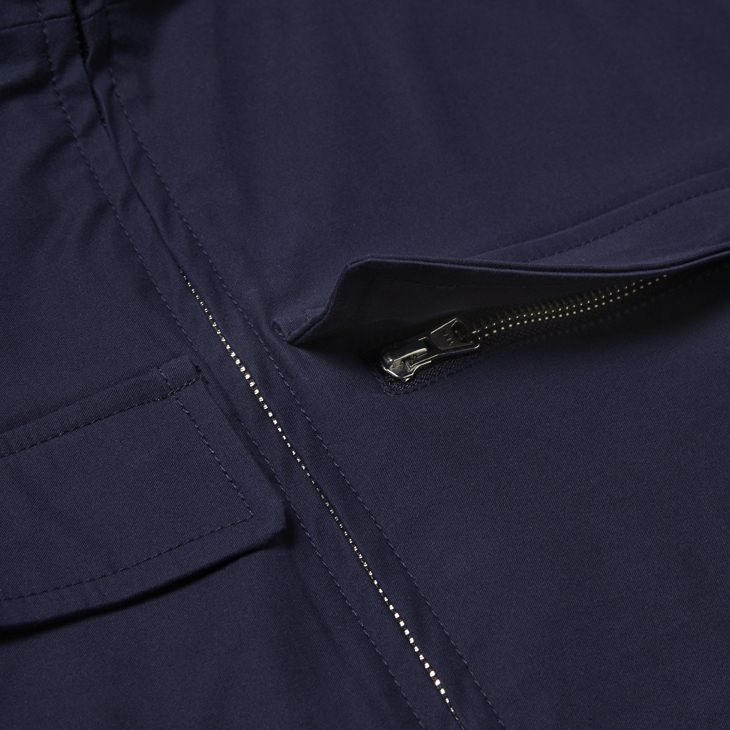 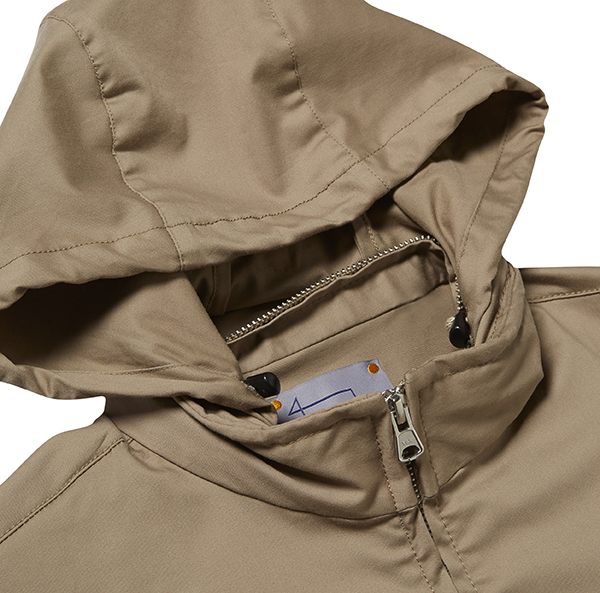 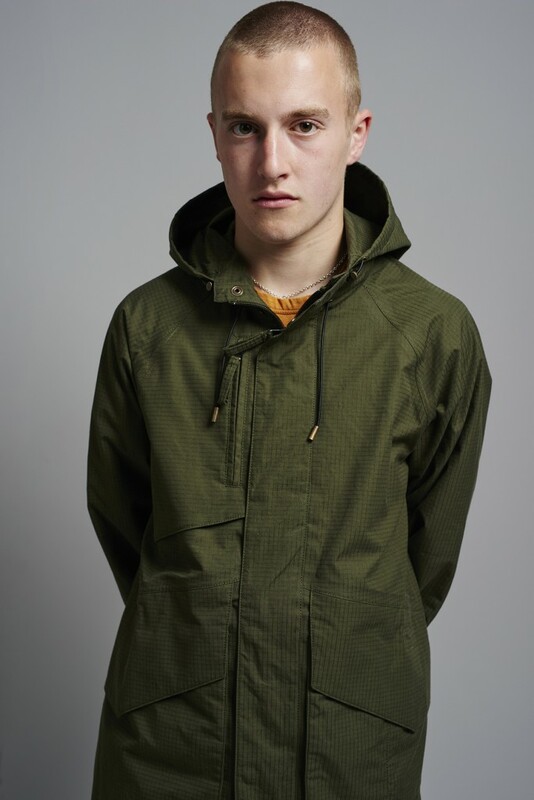 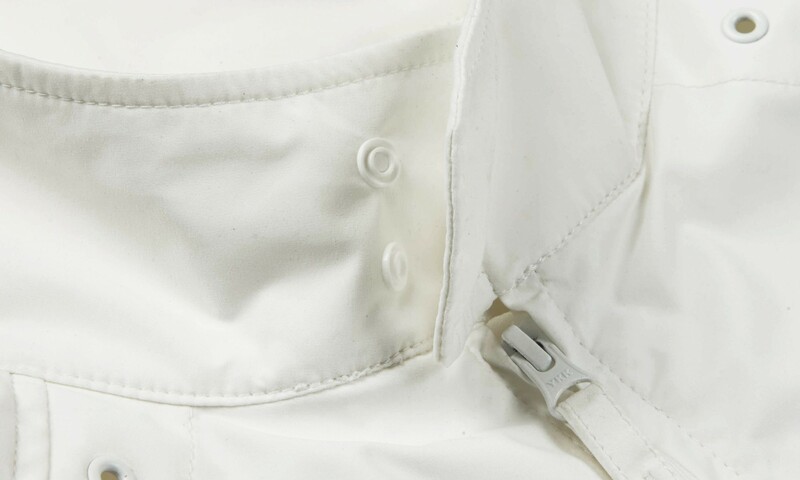 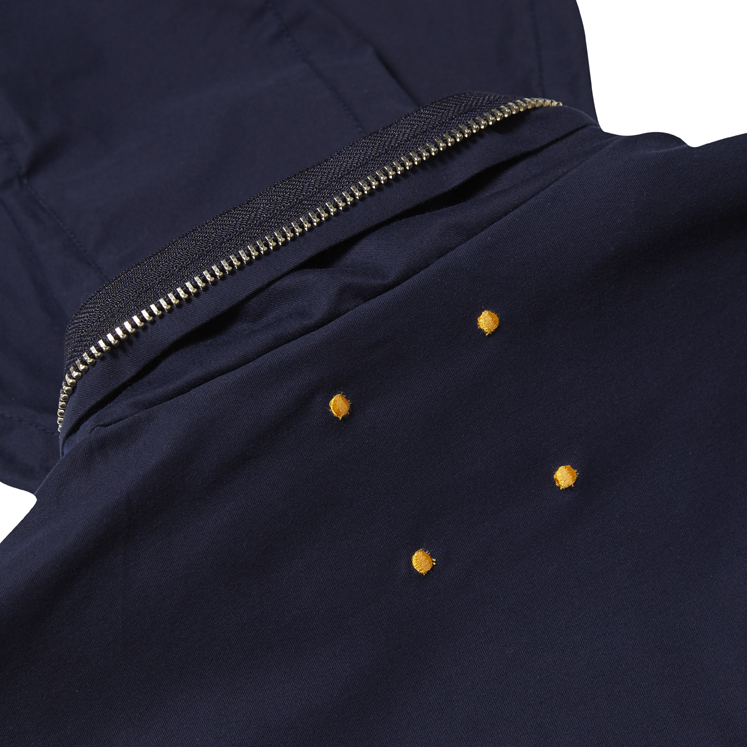 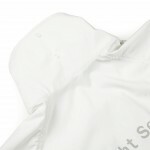 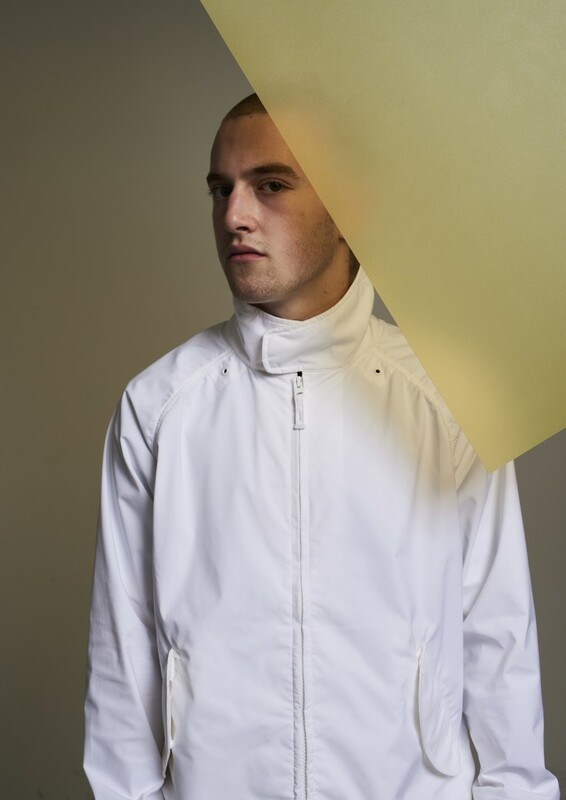 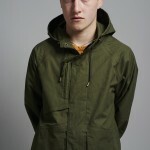 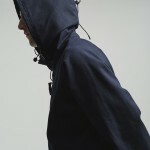 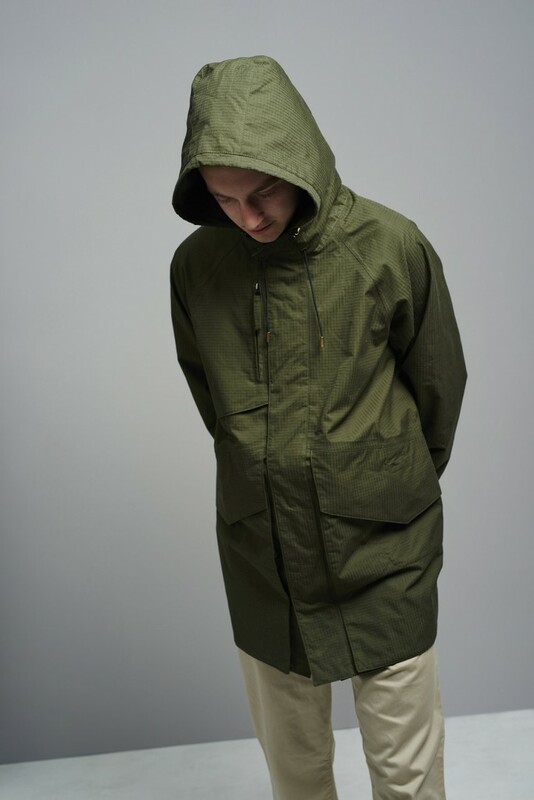 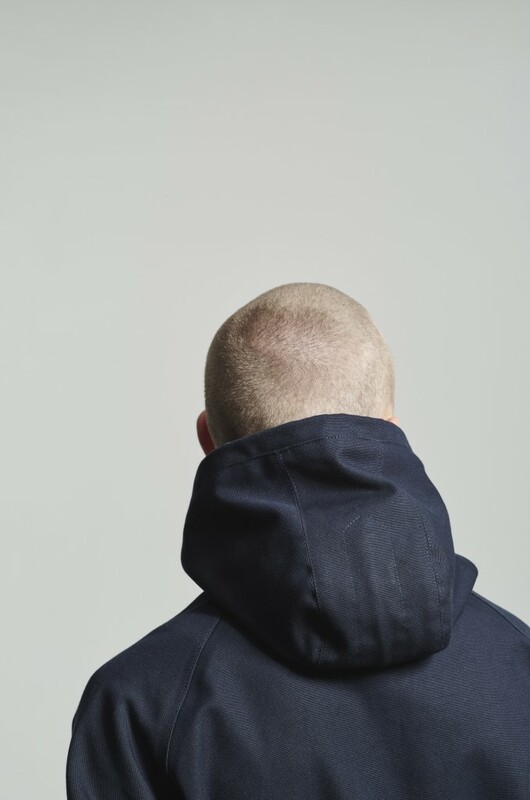 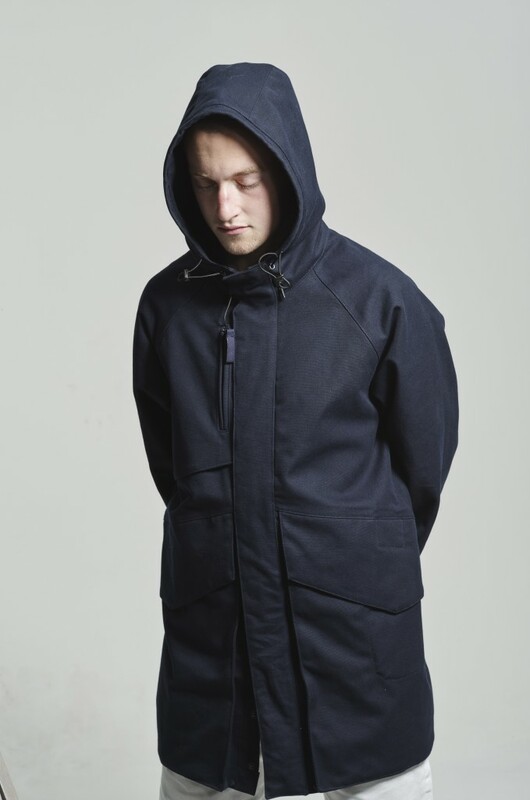 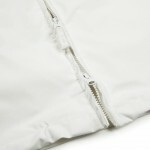 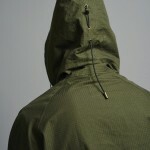 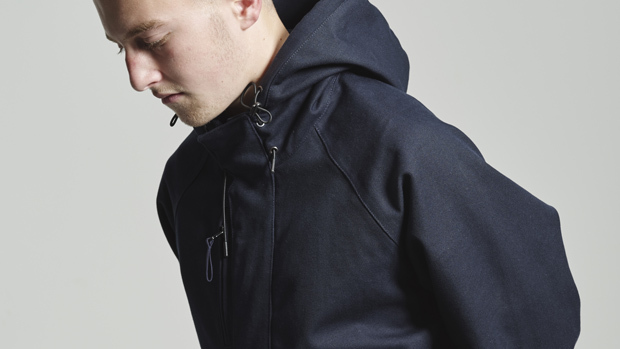 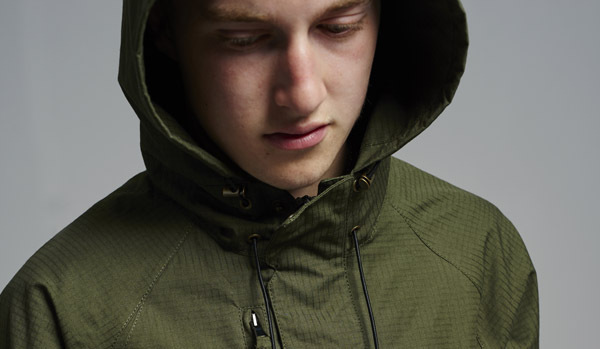 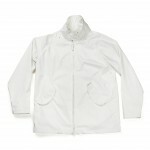 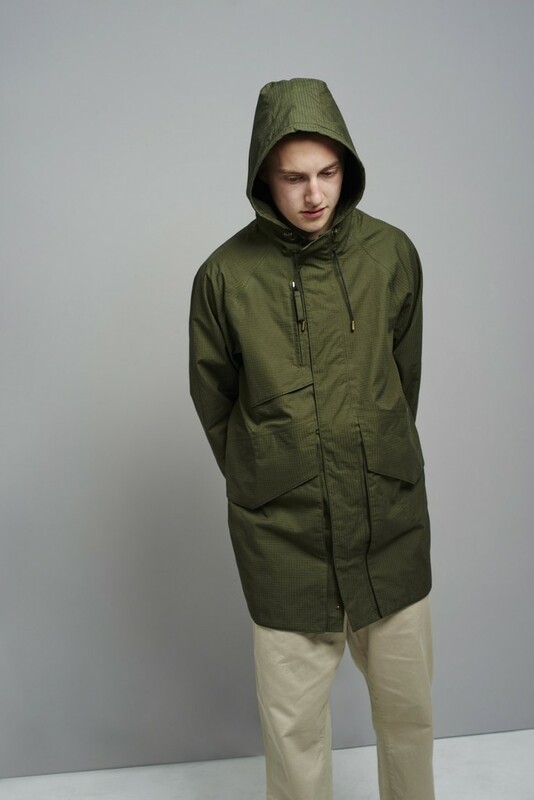 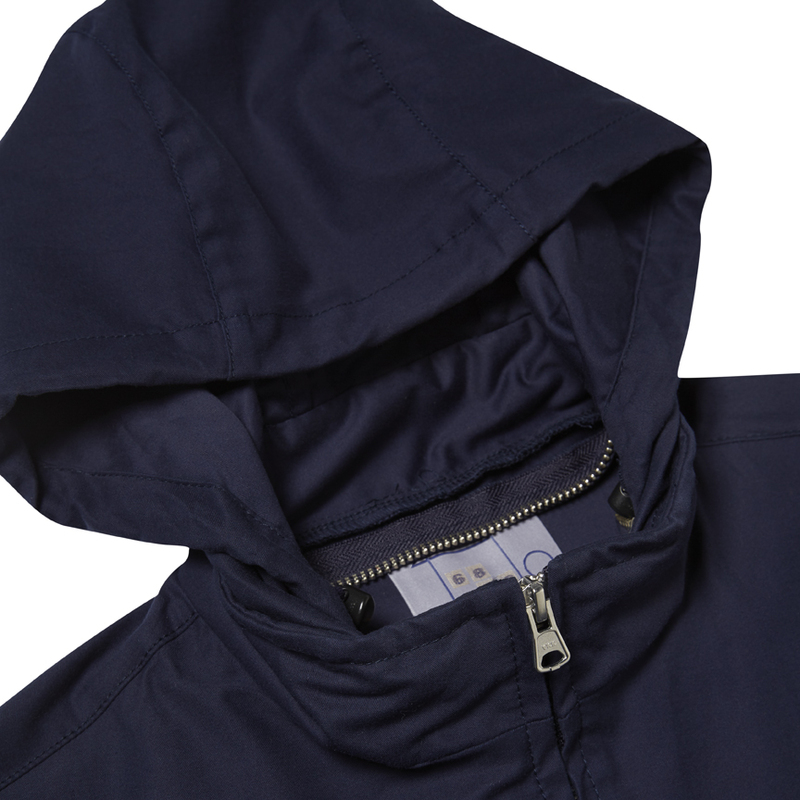 Zip out hood feature with cord and adjusters. 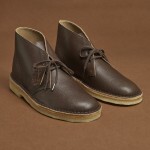 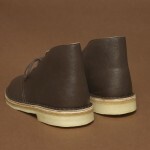 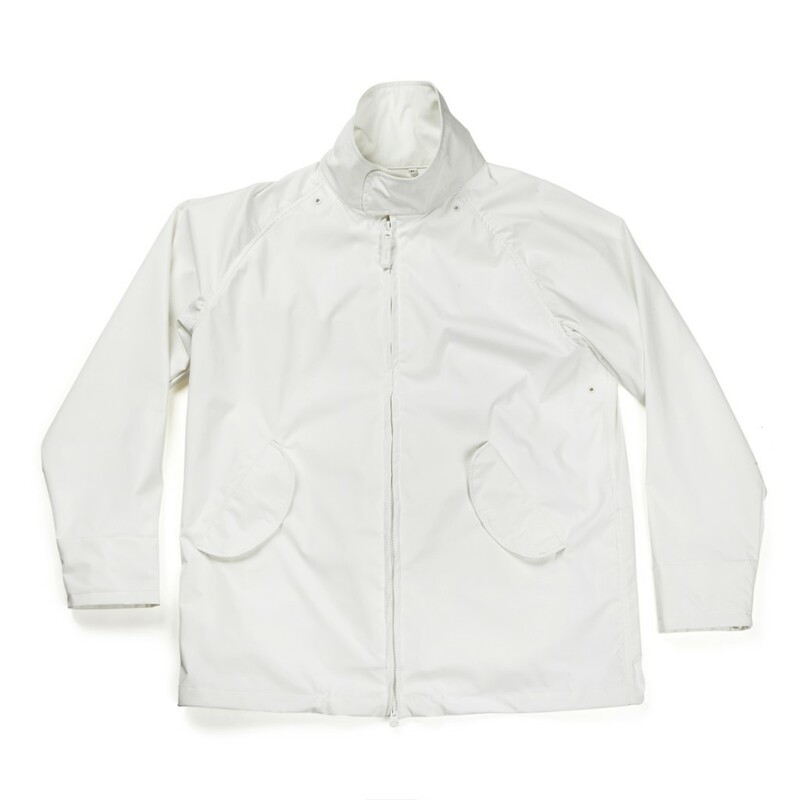 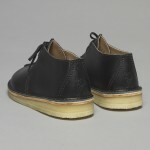 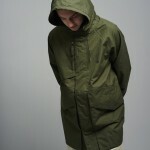 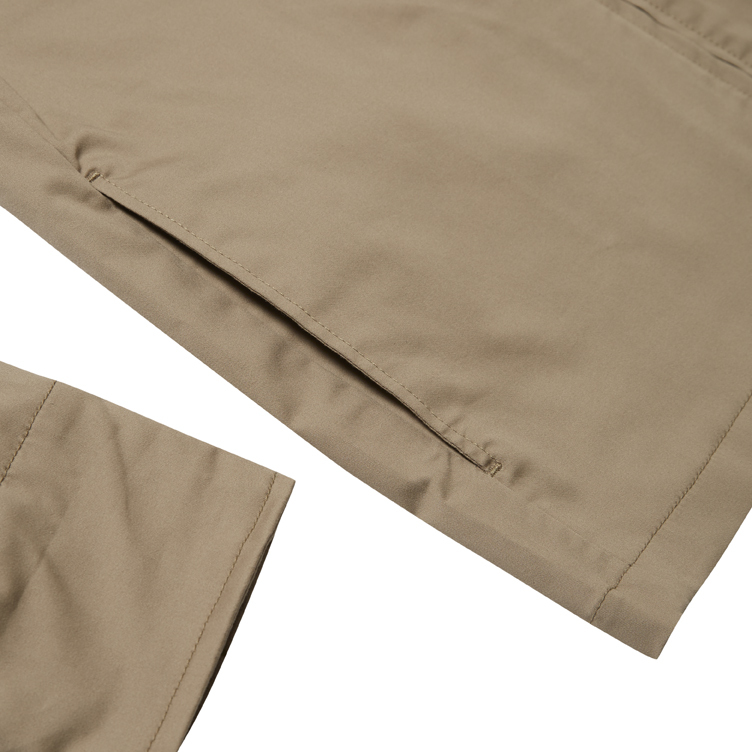 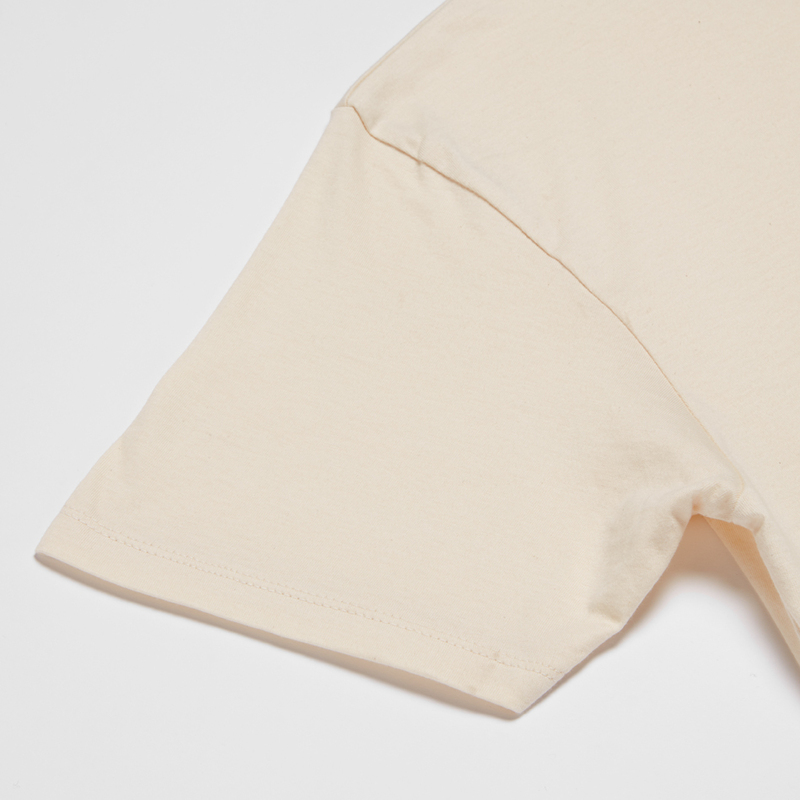 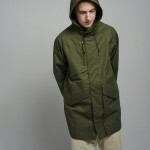 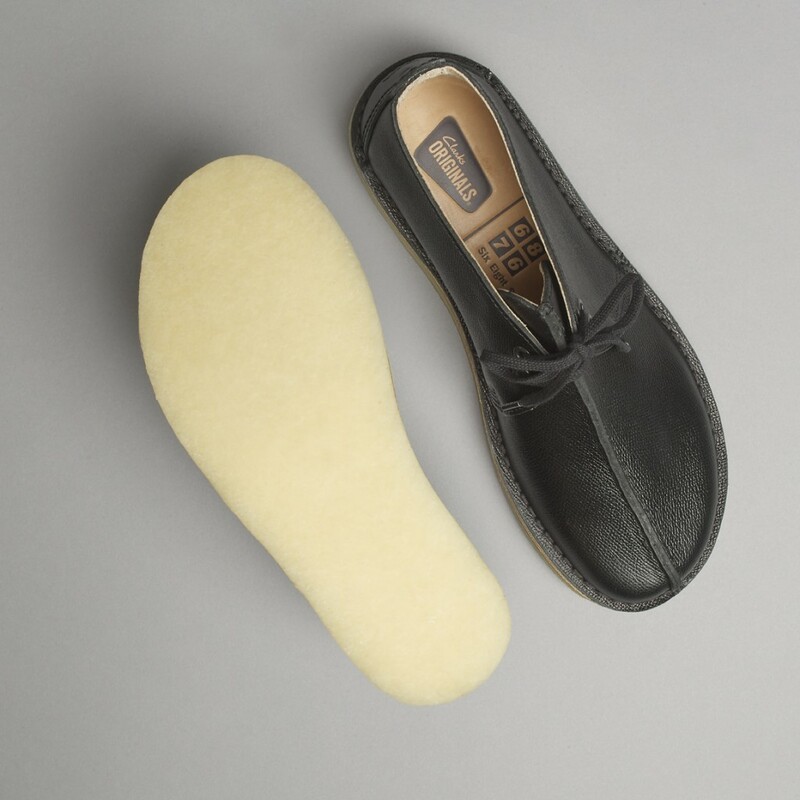 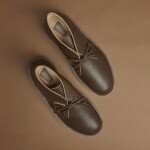 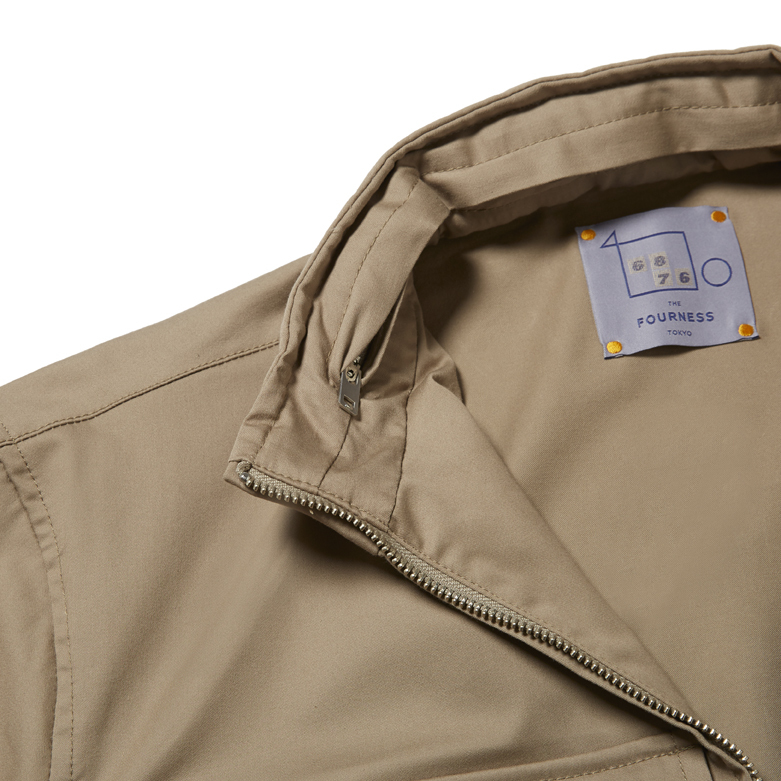 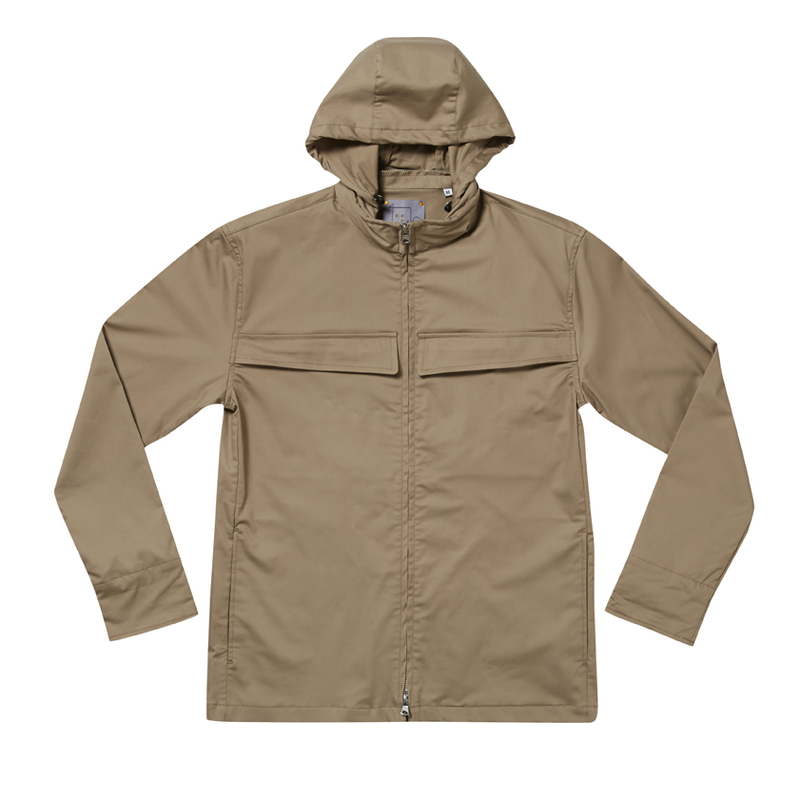 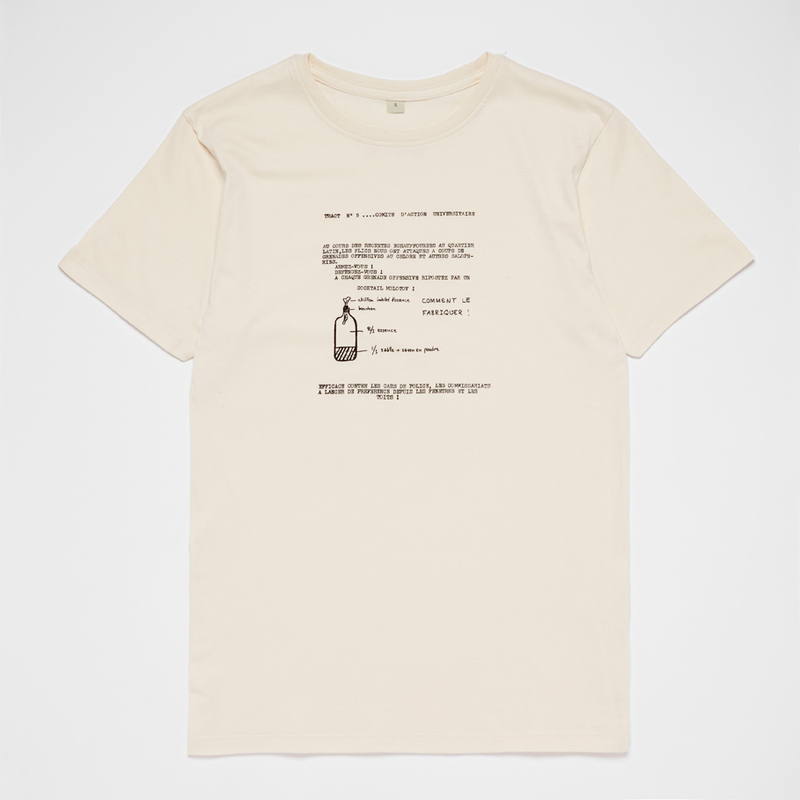 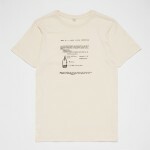 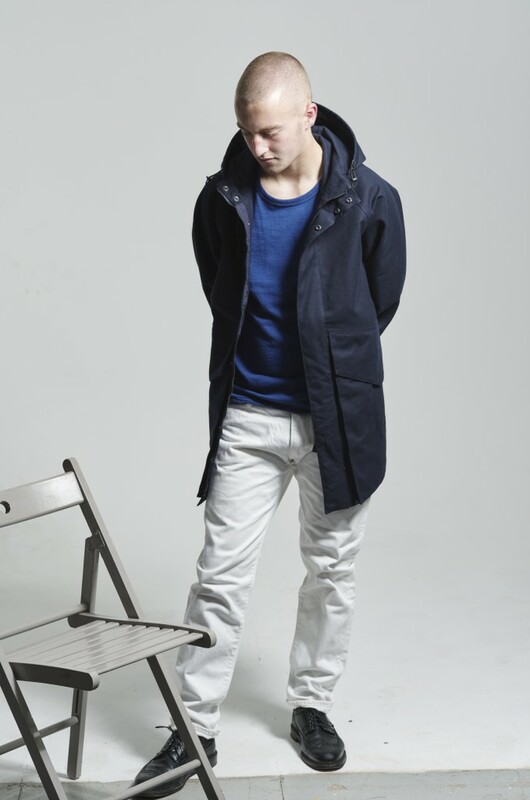 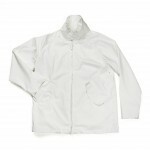 Manufactured in Japan 95% Cotton 5 % Polyurethane available in Navy & Beige. 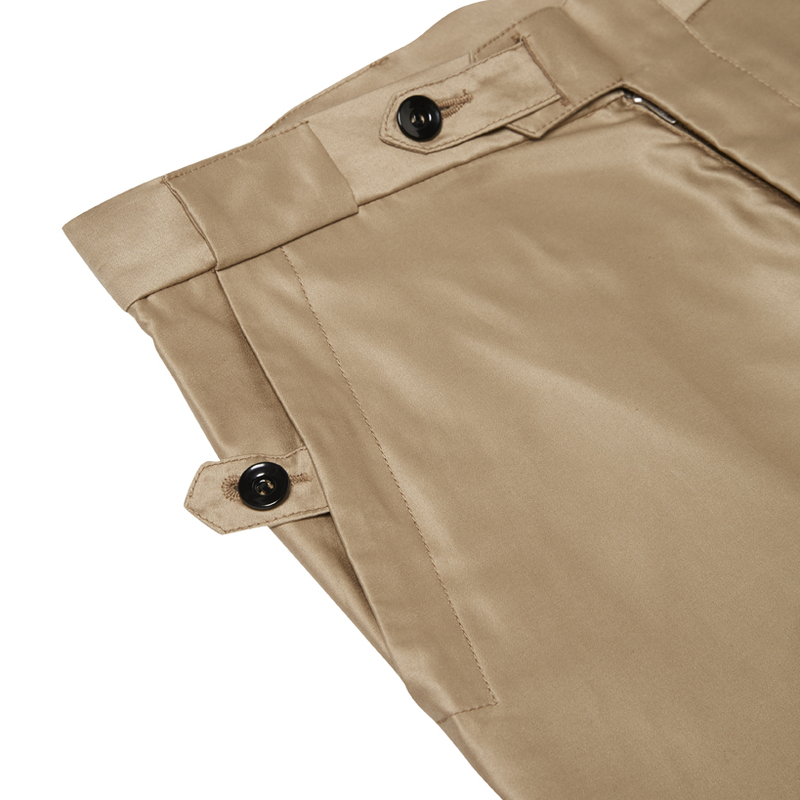 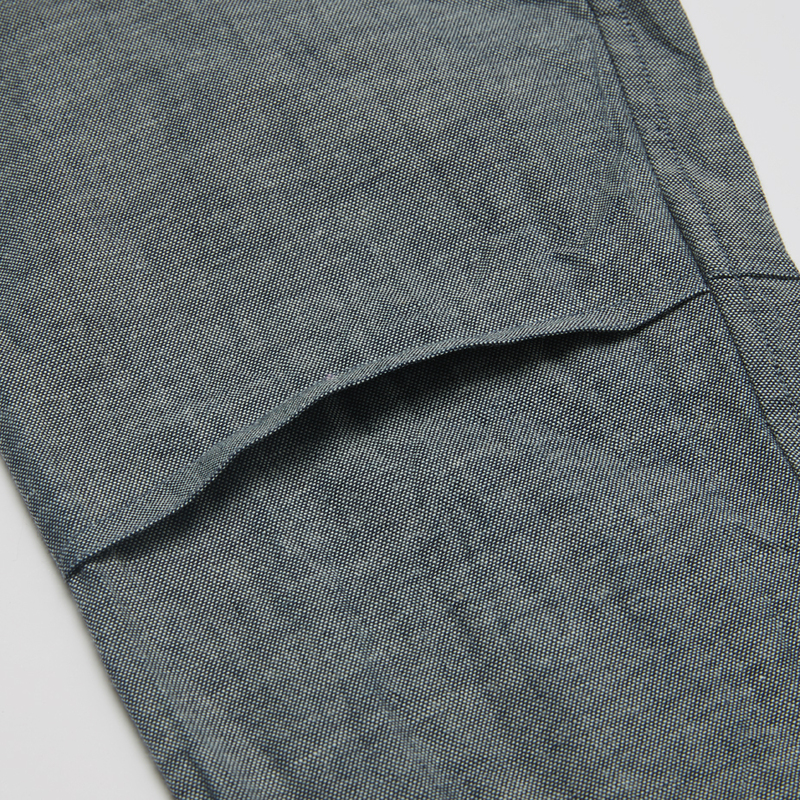 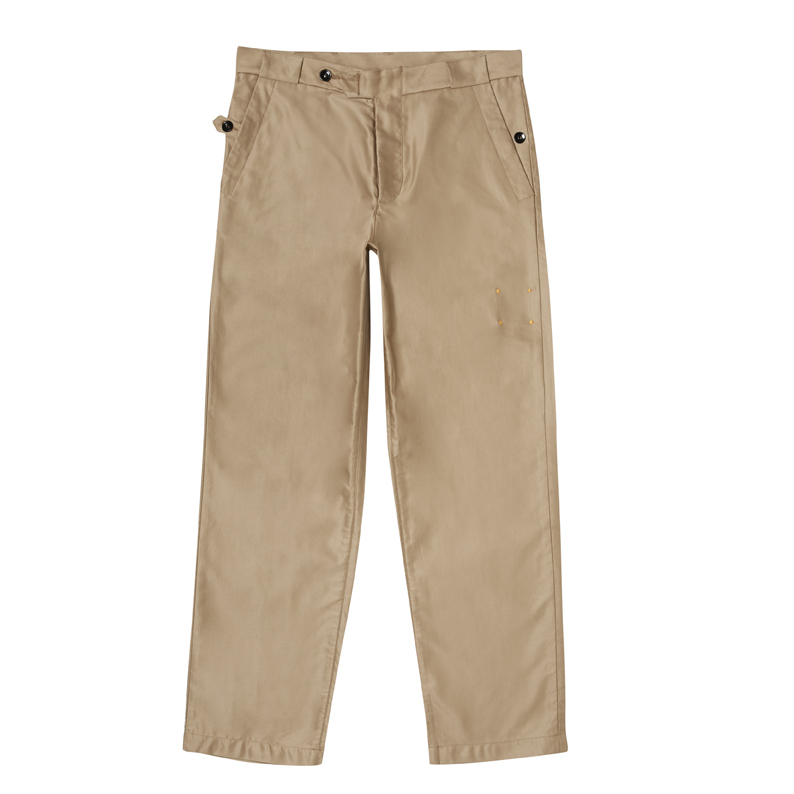 The Work trouser first produced in 1998. 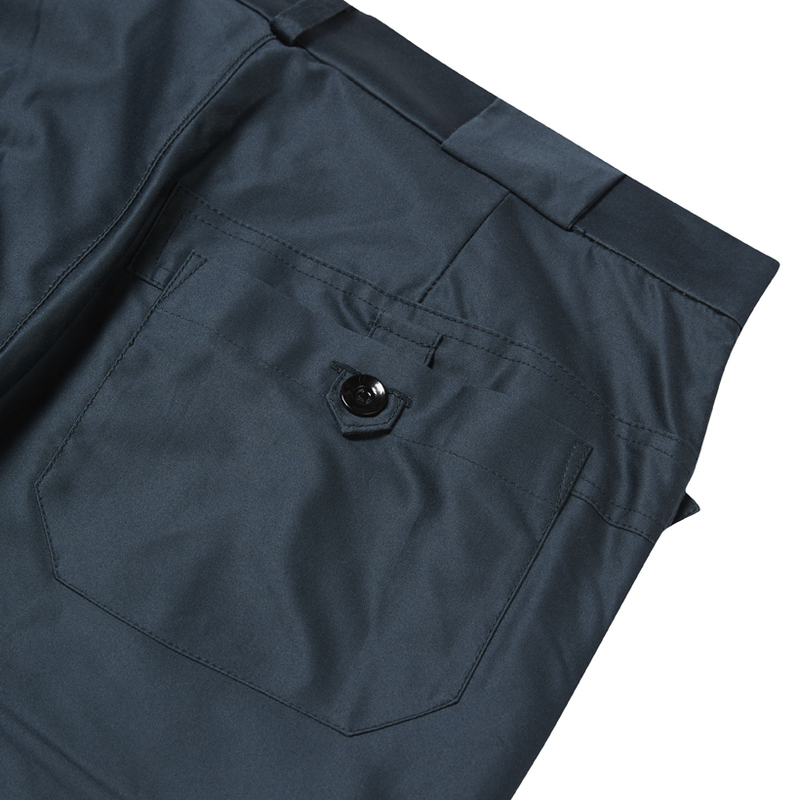 The style has a loose shape with elasticated double waist tab, front pocket tabs and back pocket tab featuring a military support panel. 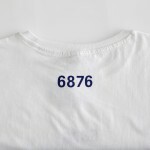 The Fourness have reproduced the signature 6876 button of this era. 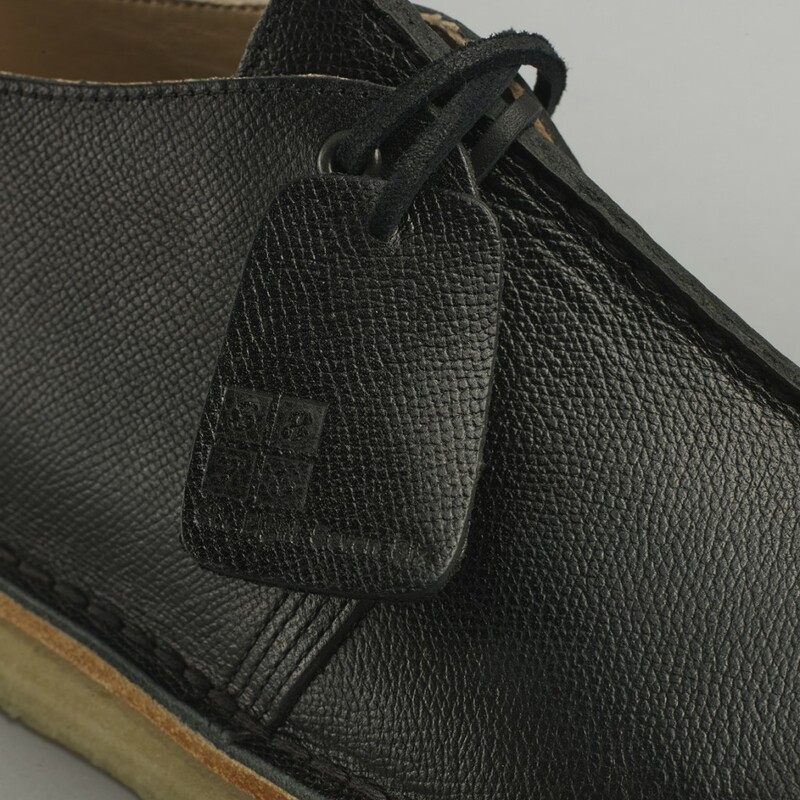 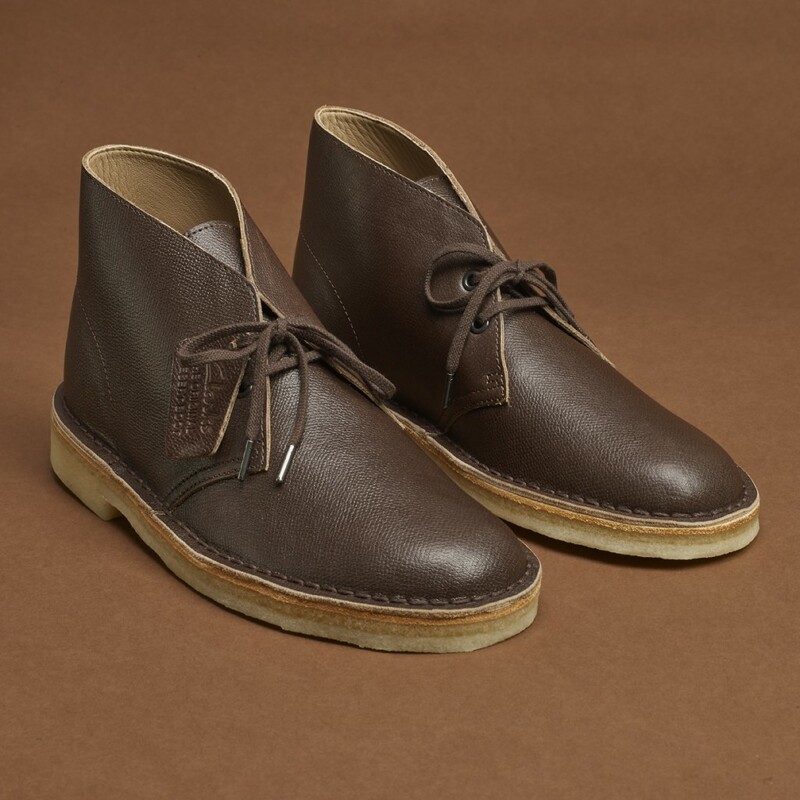 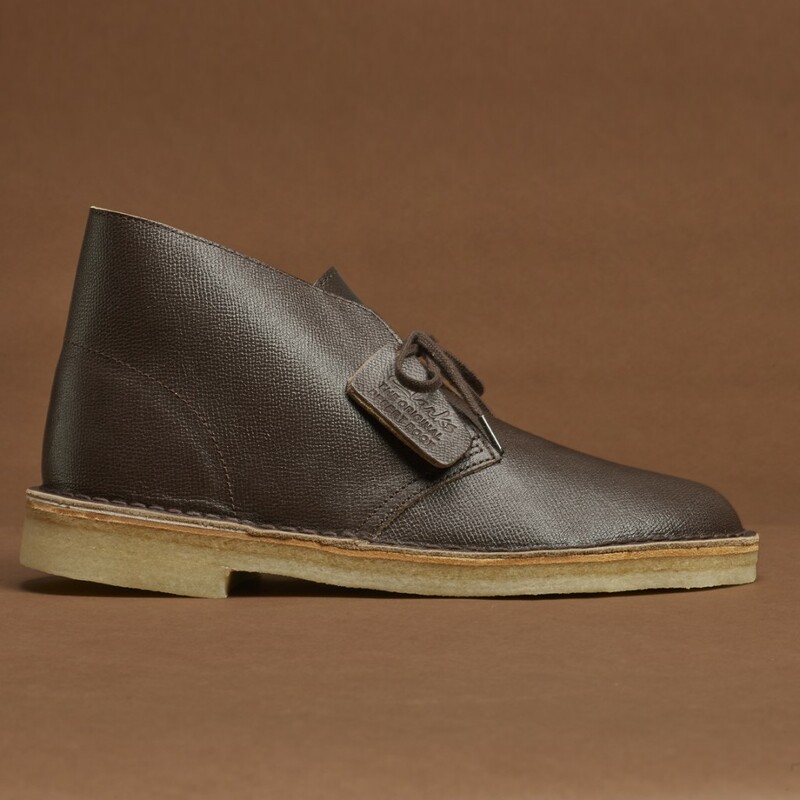 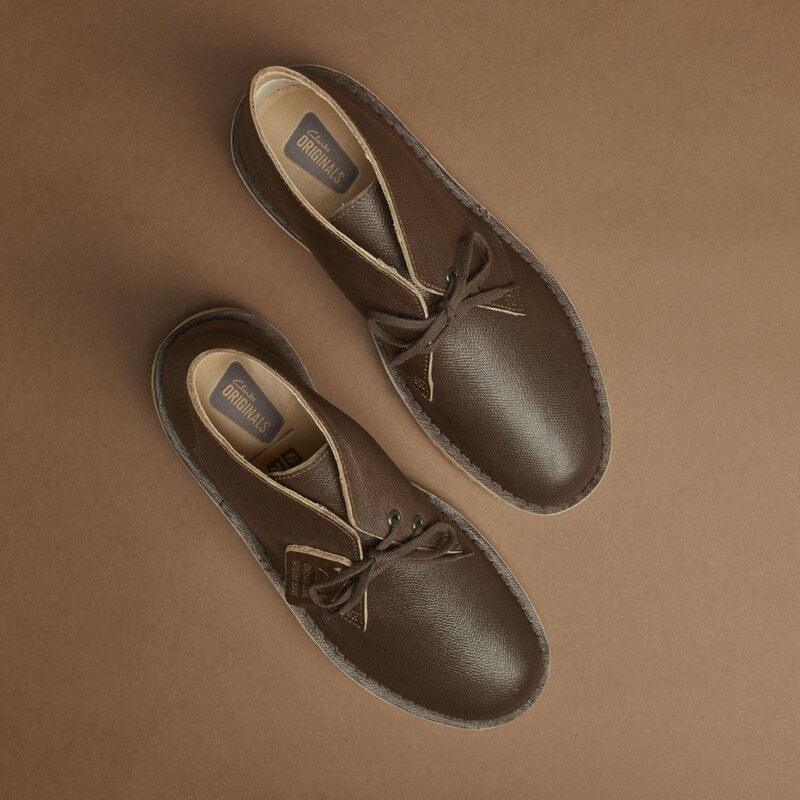 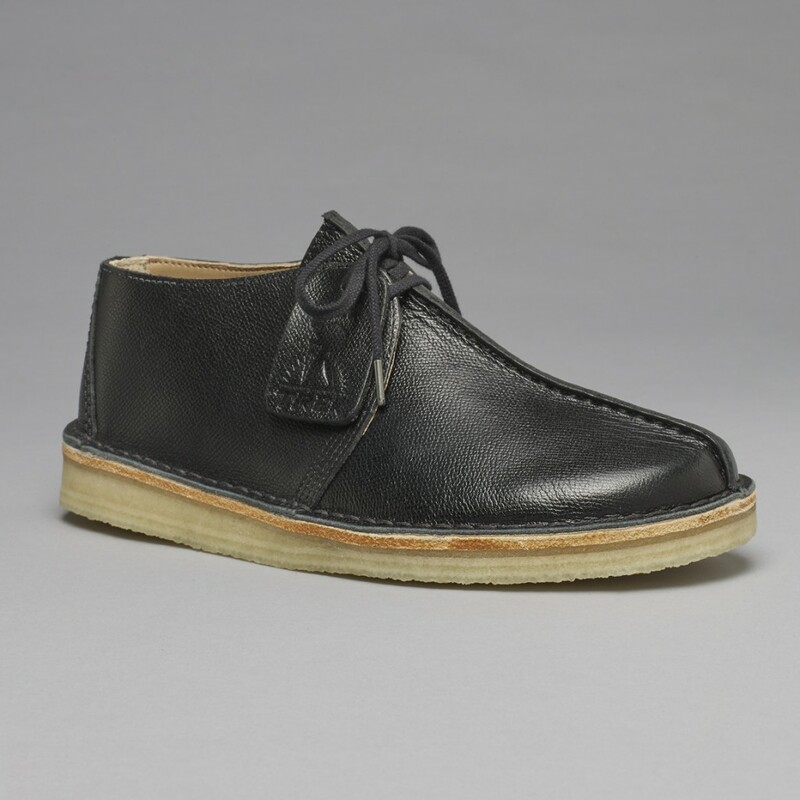 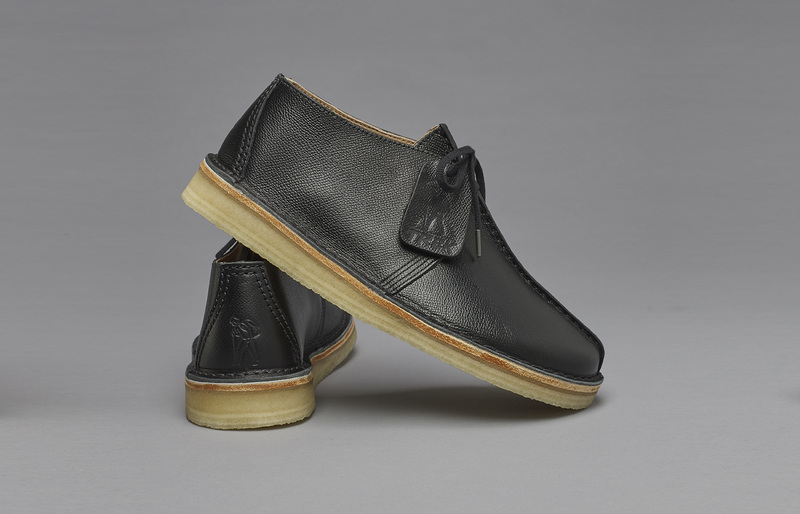 The second instalment of our collaboration with Clarks Originals works with the same two styles the Desert Trek and iconic Desert boot. 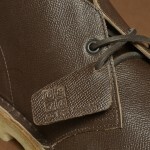 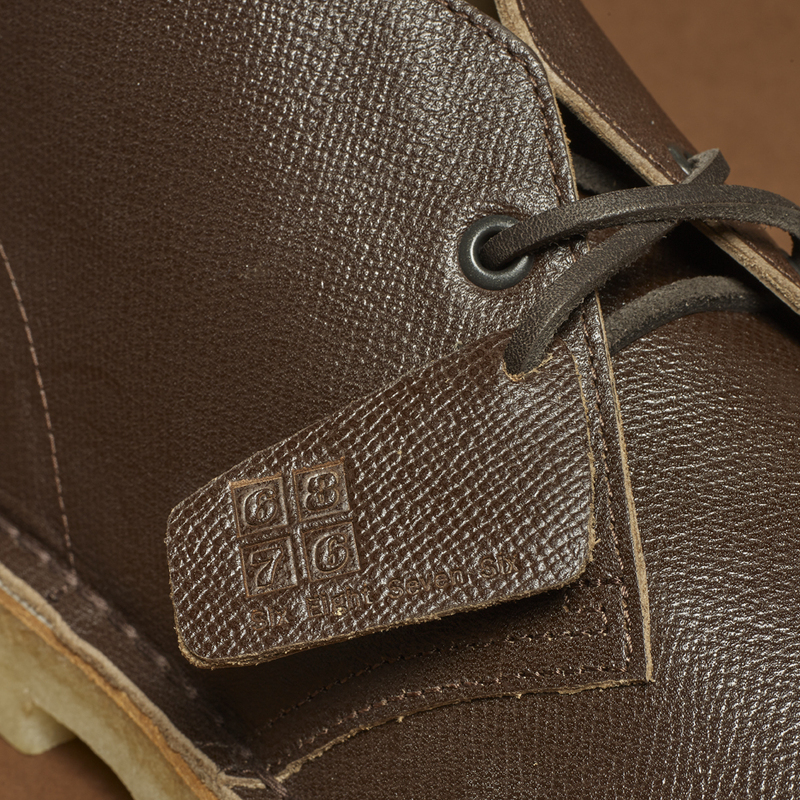 This release features a pebble textured premium leather and additional leather laces. 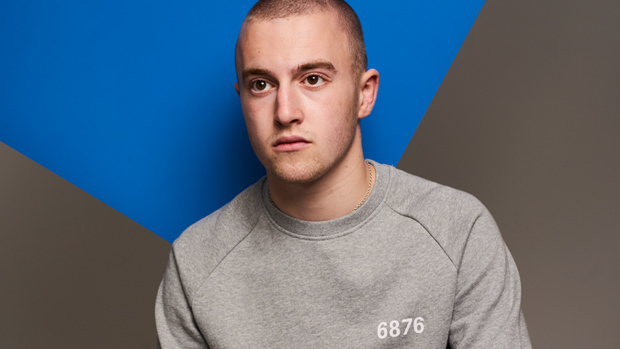 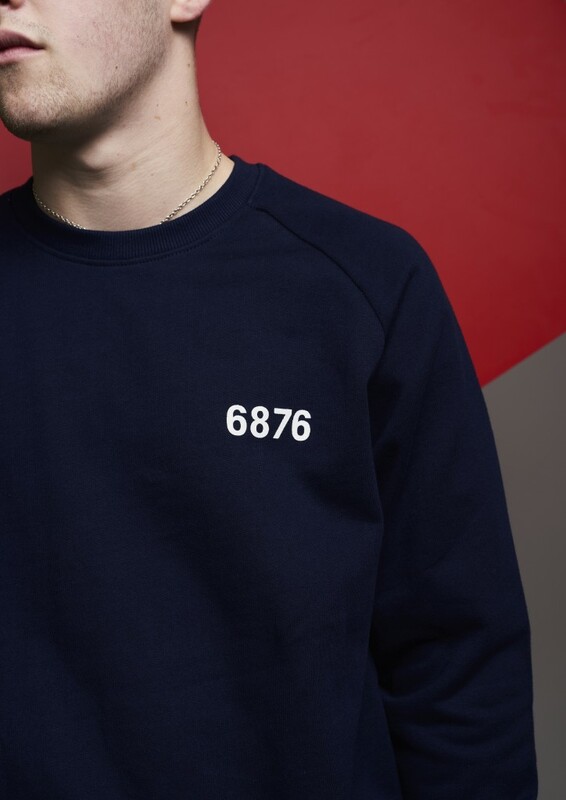 These styles will be available on the Six Eight Seven Six webstore from 9am on the 26th of February 2016.